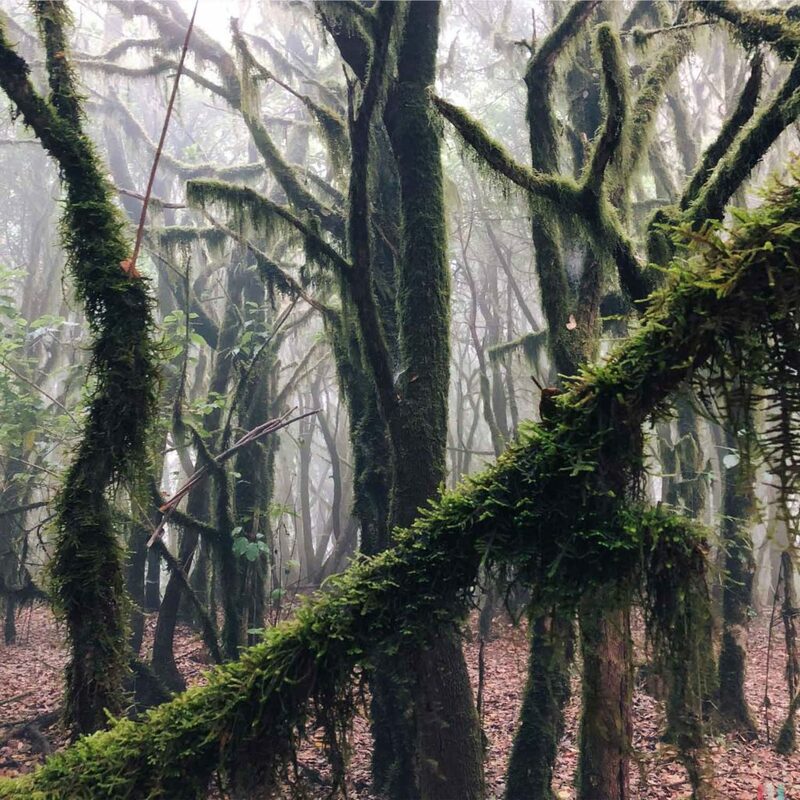 Ancient rainforests and an incredible biodiversity: two weeks in La Gomera. Theresa at the Mirador de Abrante. 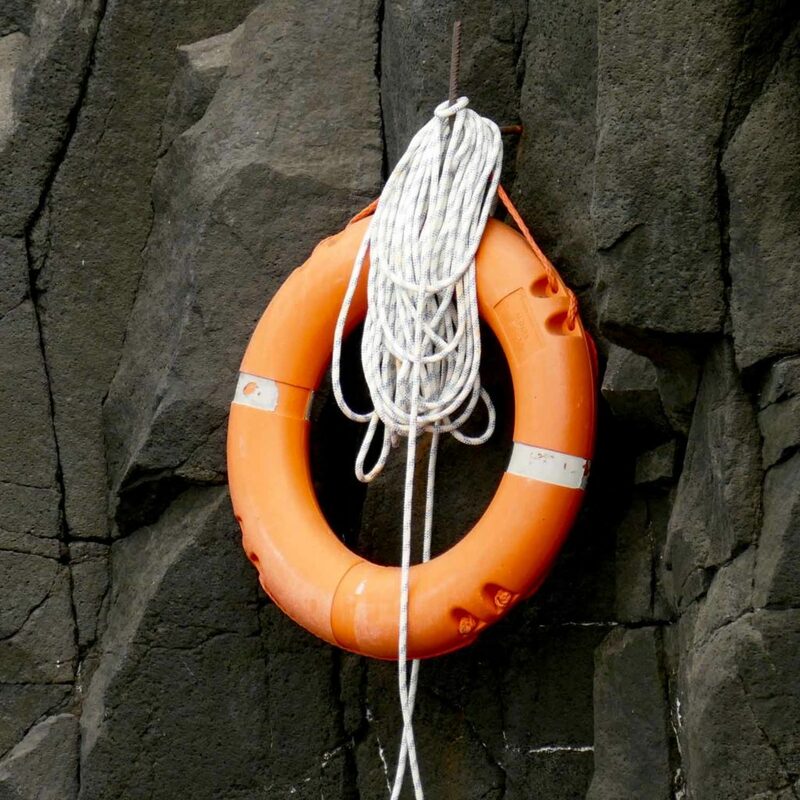 Even the names of the lookouts sound great here! And of course, everybody loves dolphins. Me too. So we decided to do something on dolphins as soon as possible. The idea was to go to La Gomera for this purpose. 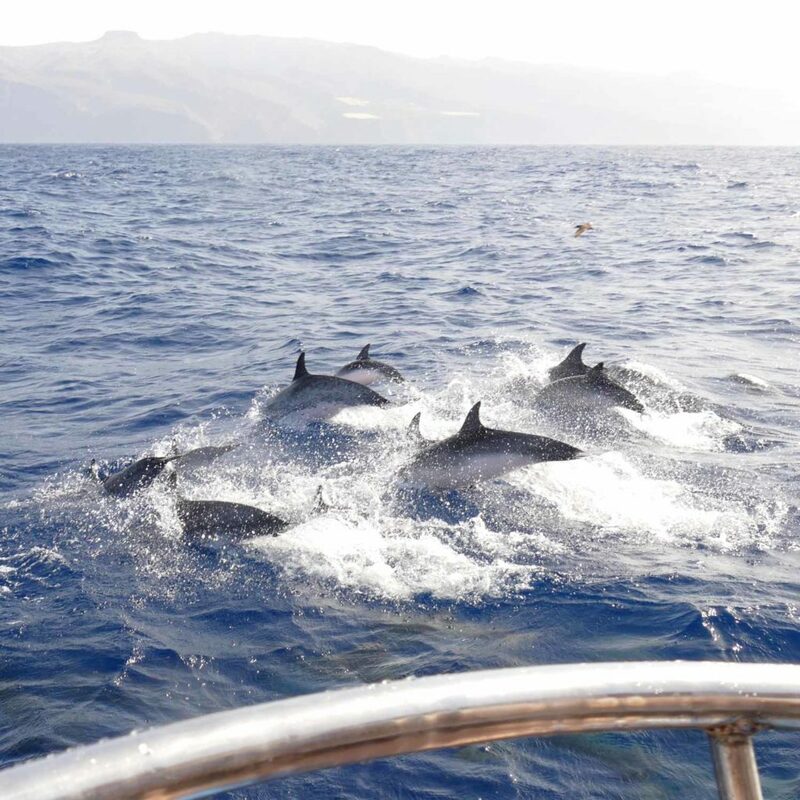 When it comes to dolphins, La Gomera is one of the best, most beautiful and diverse places in the world. 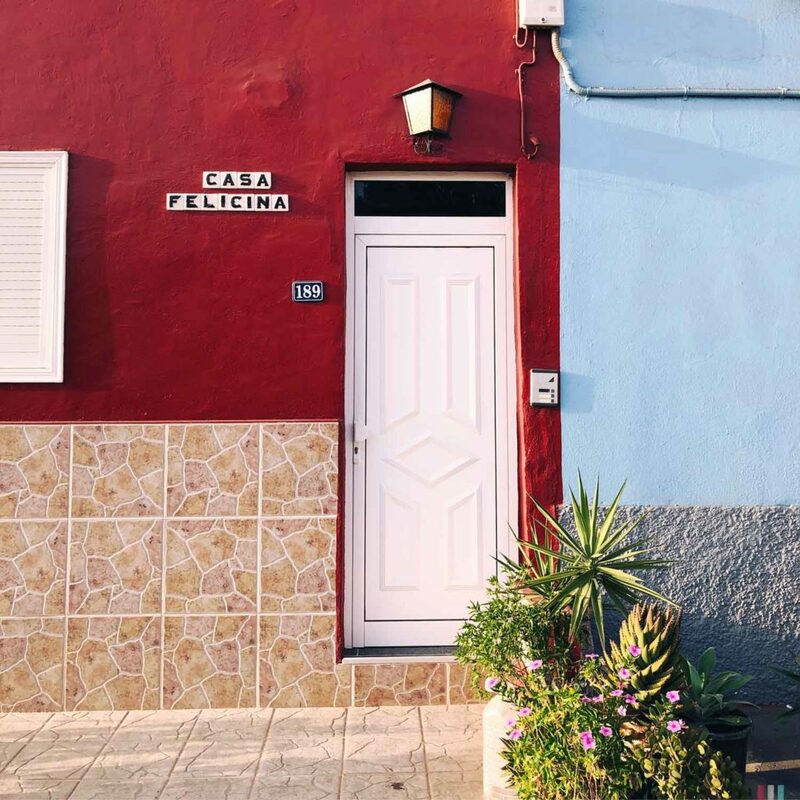 La Gomera is a volcanic island and part of the Canary Islands, a Spanish archipelago west of Africa. 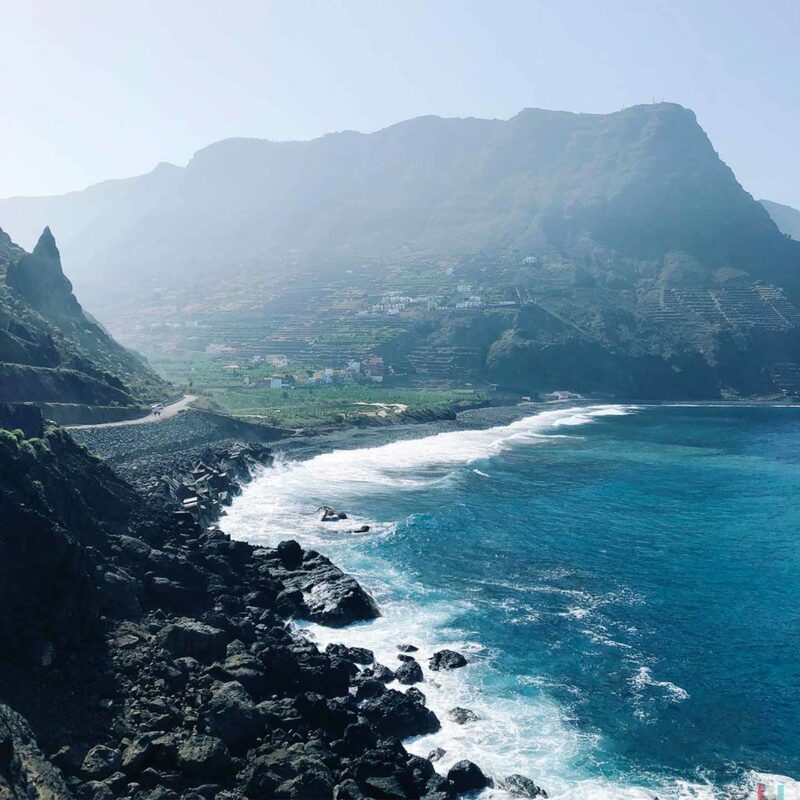 La Gomera is the second smallest of these islands, a cute little pile of lava with a diameter of only 25 kilometres. The Sahara is almost in sight. 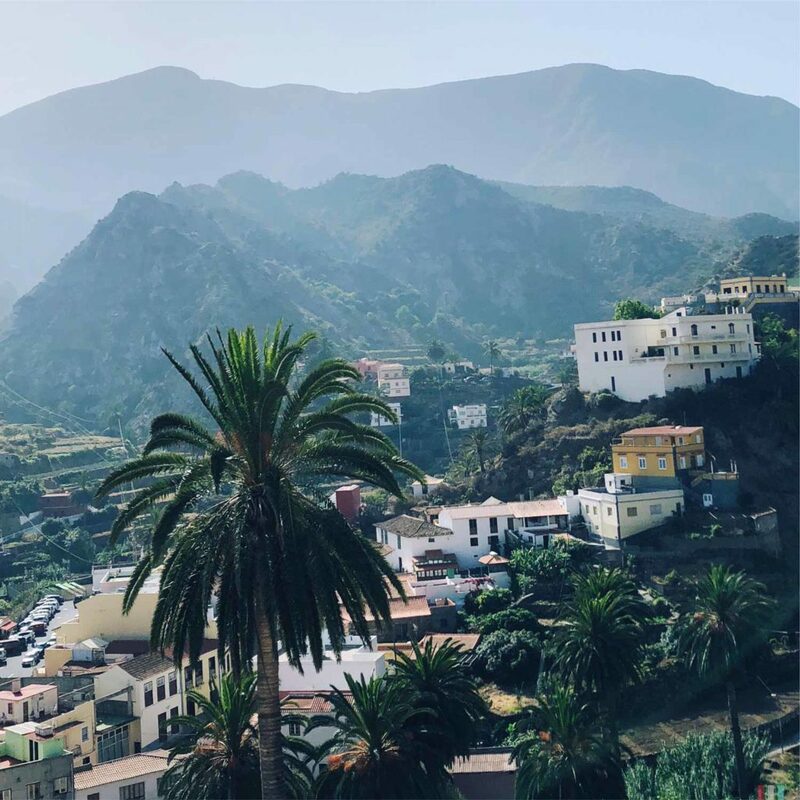 Back in the days La Gomera was a hippie island, especially the valley of Valle Gran Rey. Those who wanted to get out and didn’t make it to California often ended up here. Today, however, there are eco-tourists instead. 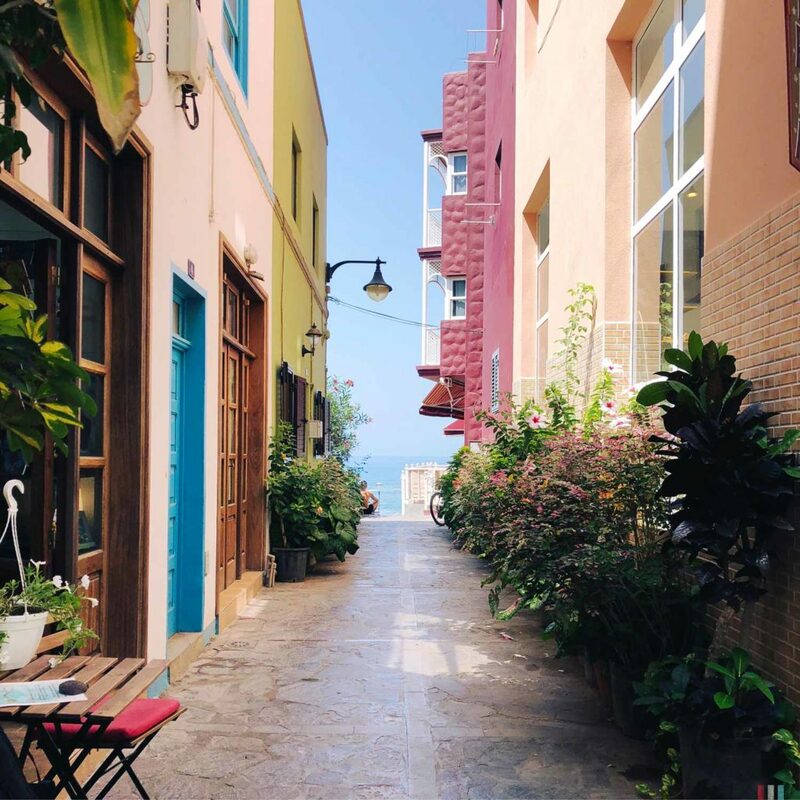 La Gomera is like a mediterranean version of Iceland. There you always feel like you’ re on the moon. Everything is so different, strange, special – and totally spectacular. That’s how it is here, too. Only that La Gomera is rather a summery Mars: everything is red, dry and warm. But it’s not just the landscape. 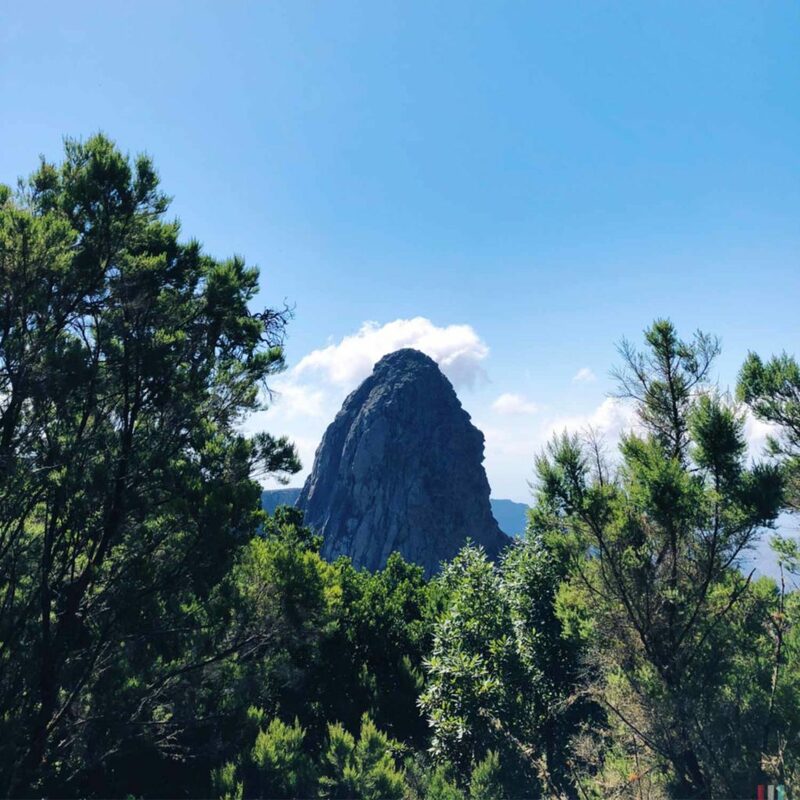 La Gomera is a refuge for an enormous number of endemic species – animals and plants that can only be seen here and nowhere else in the world. 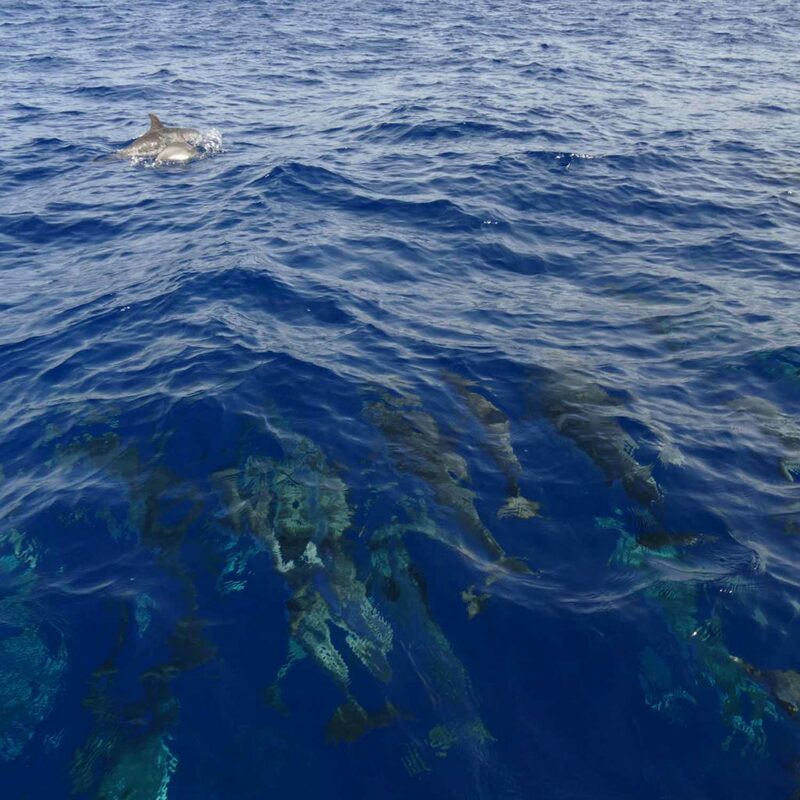 Measured by their size and in regard of whales and dolphins, the waters off La Gomera are among the most species-rich and diverse in the world. In their almost complete isolation and over millions of years, they were able to develop completely differently from their relatives on the European or African mainland. 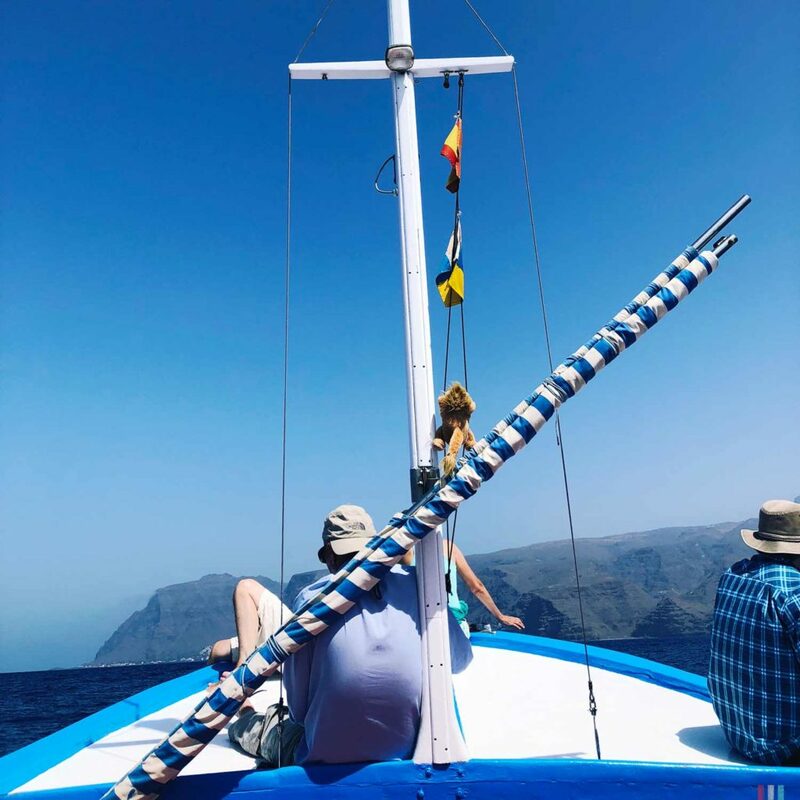 Also the waters off La Gomera are quite unique: In the course of time more than 20 different species of whales and dolphins have been spotted here. 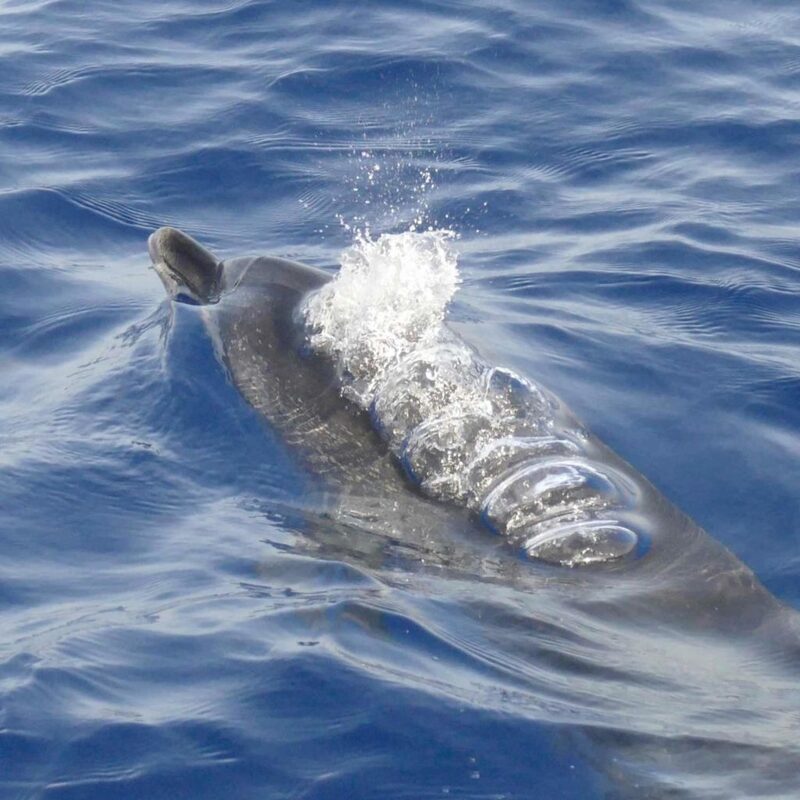 Measured by their size and in regard of whales and dolphins, the waters off La Gomera are among the most species-rich and diverse in the world. And that’s exactly why we went there. 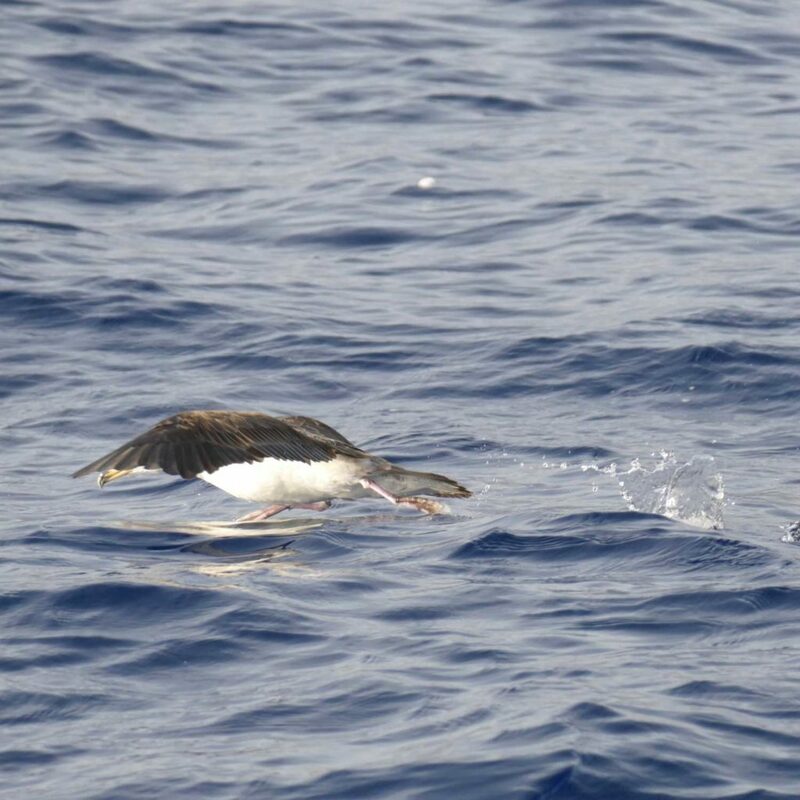 A Shearwater with a Bottlenose Dolphin. 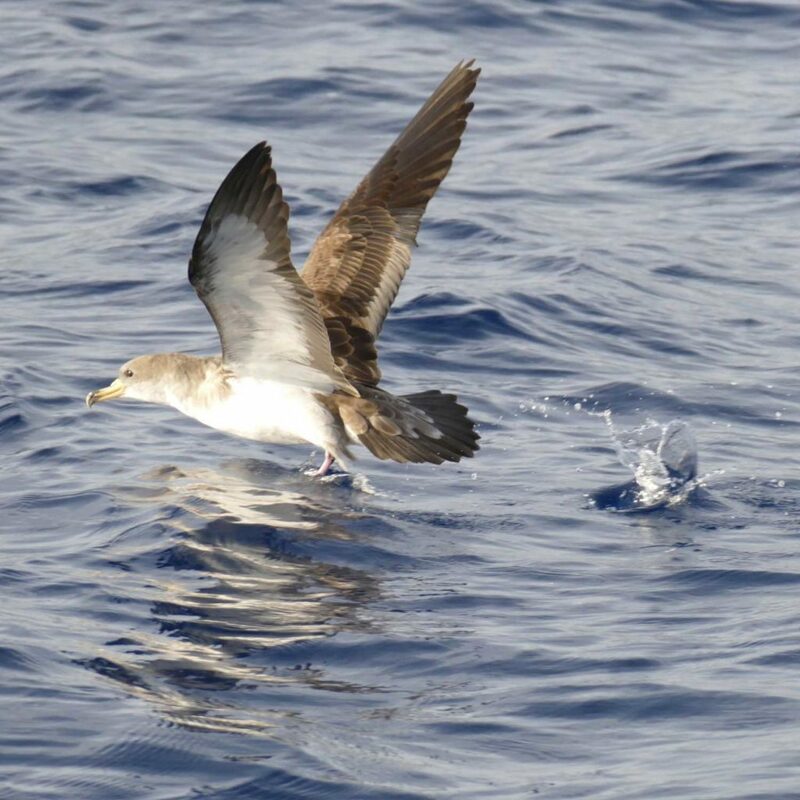 Shearwaters make super funny sounds in the night! I probably have to explain why I kept ignoring dolphins so far. I like dolphins, of course, everybody likes dolphins. Still it's complicated. I can easily distinguish a sperm whale from a humpback, fin or blue whale. In total there are only ten to twelve different big whales, and most of the time you can easily tell them apart even by their name: A blue whale is blue, a fin whale has a big fin, a humpback whale has a hump and a sperm whale is, well, a bit unshapely. This is a lot trickier with dolphins. 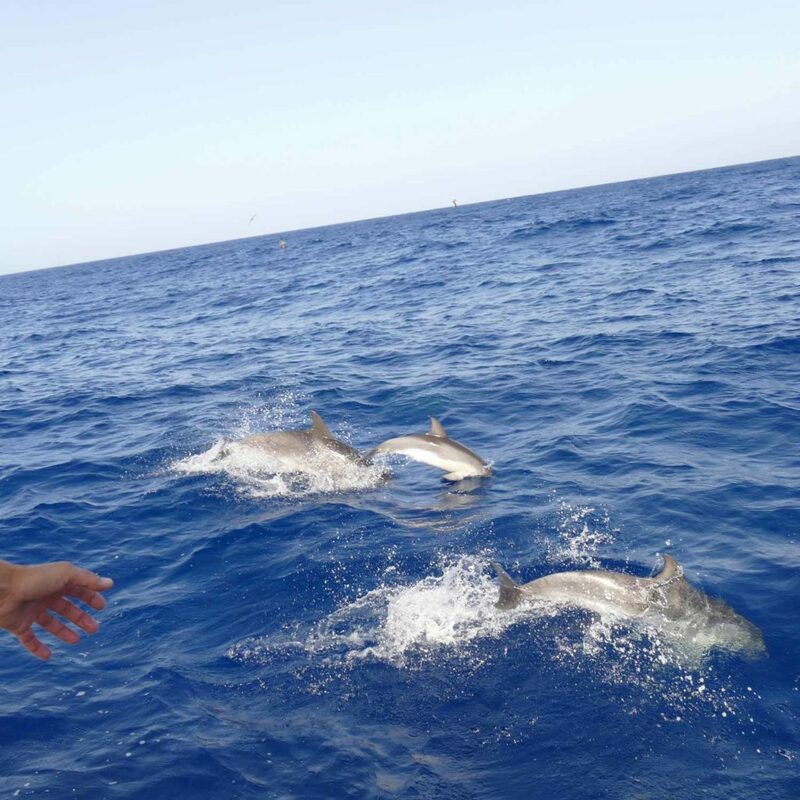 There are sea dolphins, coastal dolphins and river dolphins, and depending on how strictly you count, you can quickly find twenty, thirty, forty different species and subspecies, which in some cases differ from each other only in the smallest nuances. That’s how it starts. 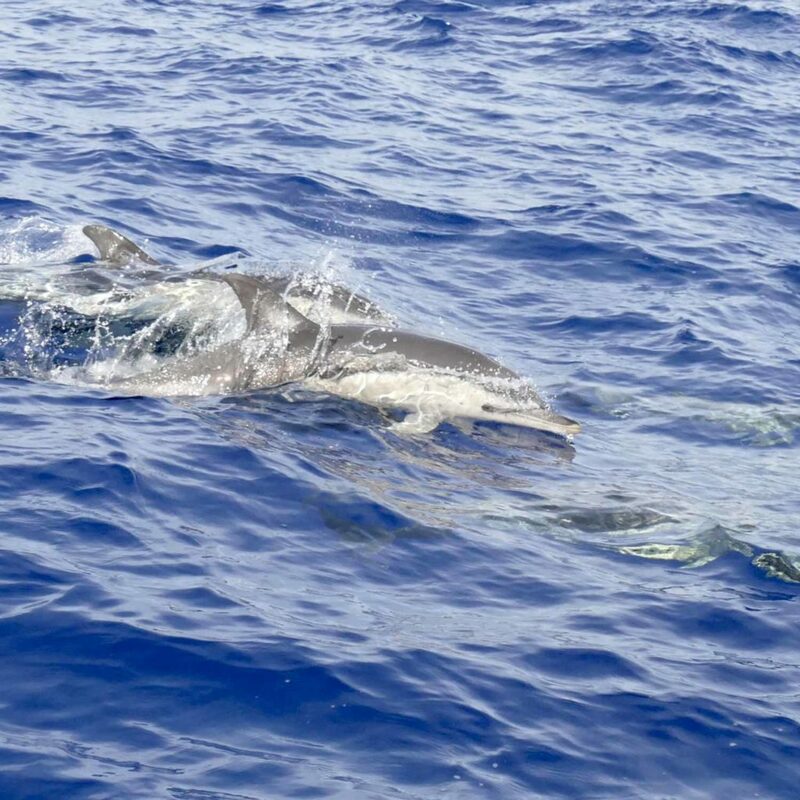 Then the names are often not very helpful: For example, we have Common Dolphins, Bottlenose Dolphins, Risso’s Dolphins, Hector’s Dolphins, Commerson’s Dolphins, Haviside’s Dolphins, Fraser’s Dolphins and so on and on and on. I don’t think that dolphin names are particularly self-explanatory. In addition, with the big whales it’s also totally clear to me how to observe them. Usually it’s only a few of quite well distinguishable individuals just swimming around nice and easily. Like an iceberg, you only see the smallest part and have to imagine the rest – that’s exciting and fascinating. And with their sheer force and size, whales also have a very soothing effect. Dolphins, on the other hand, can be seen either in large, very large or very, very large numbers. Often there are ten to twenty, not rarely a hundred animals at a time. They are small, fast, agile, playful, excited and full of energy. And unlike the big whales, they all look very similar, at least at first glance. If you start to be interested in dolphins, it's like discovering a new favorite band that has already released some thirty records. 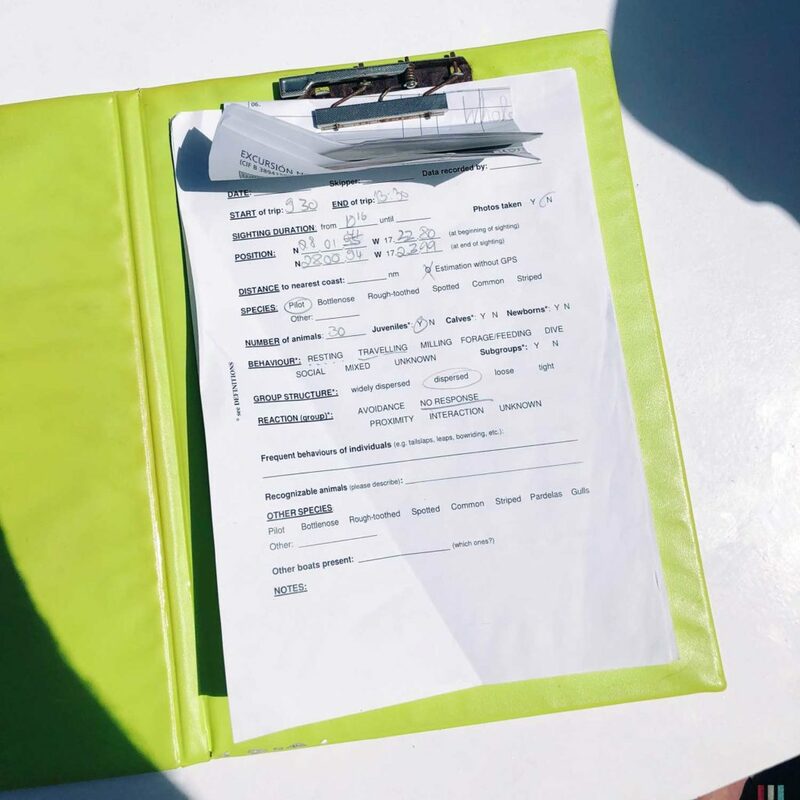 So I made it a bit easy for myself on our tours: I sincerely looked out for sperm whales, blue whales, fin whales, humpback whales – and paid close attention to characteristics and behavior at every sighting. And when a few dolphins came along in between, then for me it was just a few dolphins who came along in between. I was always happy about them, honestly, but our relationship was always a bit superficial. Until now. If you suddenly start to take an interest in dolphins, it’s a bit like discovering a new super band, of which you only knew one super song at first – and which turns out to have released some thirty albums already, plus bootlegs, plus collectors editions. A huge back catalogue to listen to one after the other. On the one hand absolutely great. But on the other hand: quite a task. Glad that we were in the very best hands in La Gomera. On board of the beautiful fishing boat made of red and blue wood. 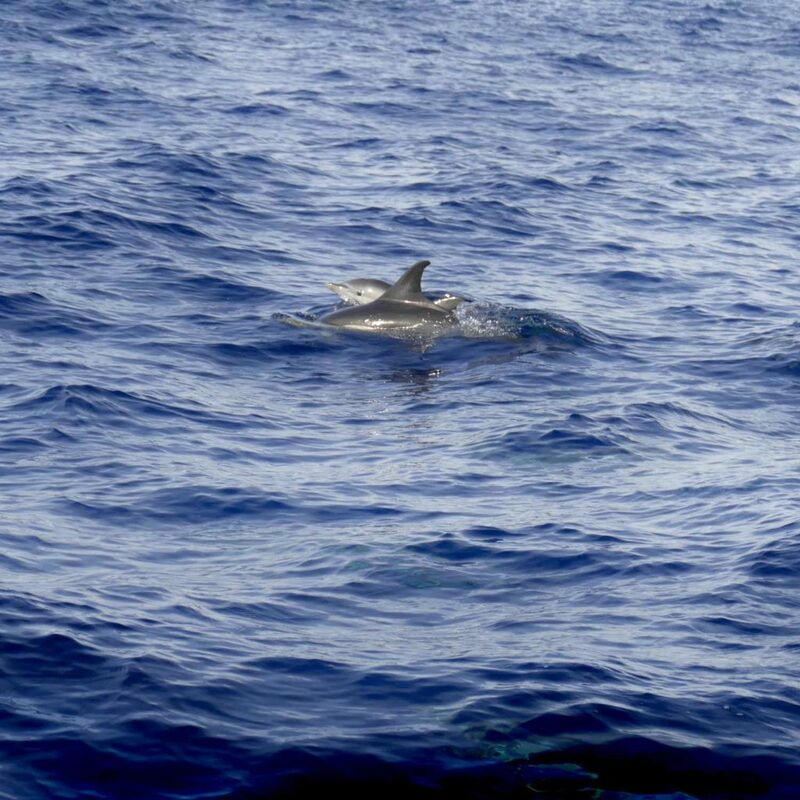 On the left: a Spotted Dolphin. 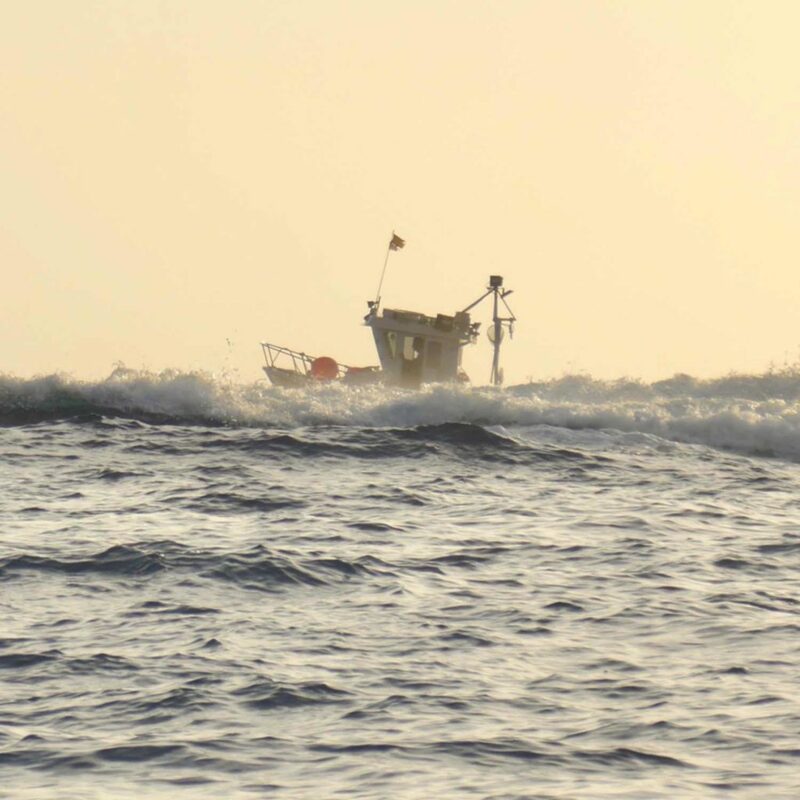 We go out every other day, in a tiny fishing boat made of red and blue wood. No day is like the other. And never before have we experienced such enthusiastic guides. 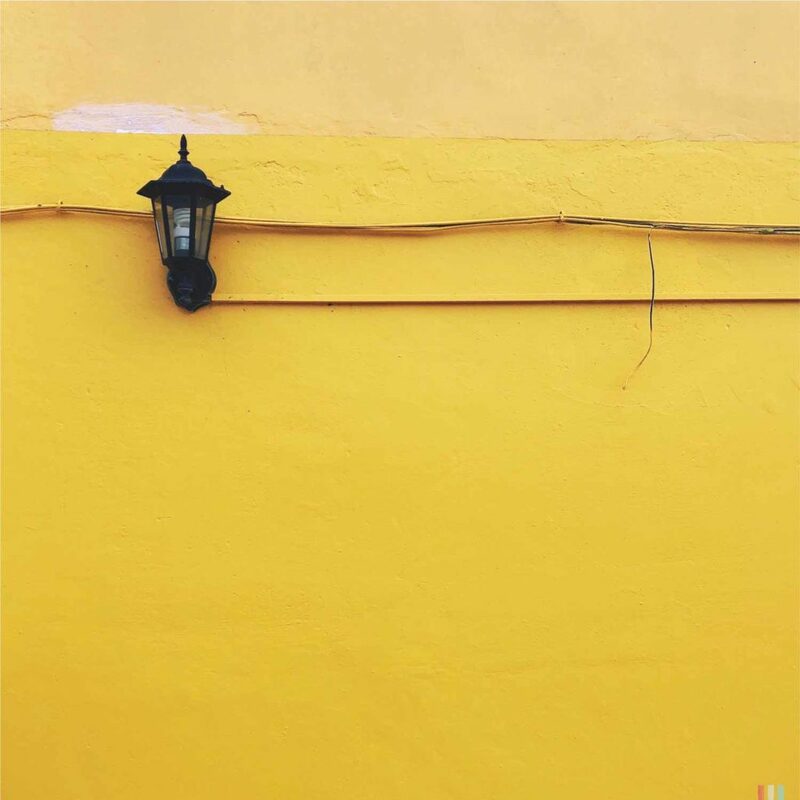 Shortly before we started this website, Fabian Ritter answered a lot of our questions. Fabian is a marine biologist, member of the Whale & Dolphin Conservation (WDC) and co-founder of the association M.E.E.R., besides his research and lectures he writes great books about whales and whale watching – for example this one, from which I borrowed the title of this text. 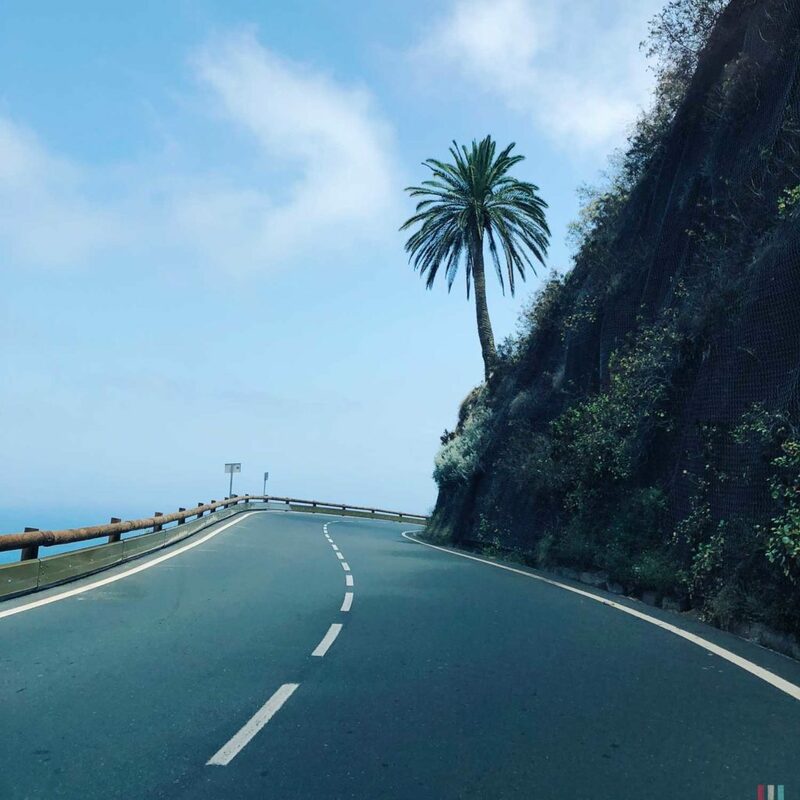 Fabian spends a good part of the year on La Gomera. 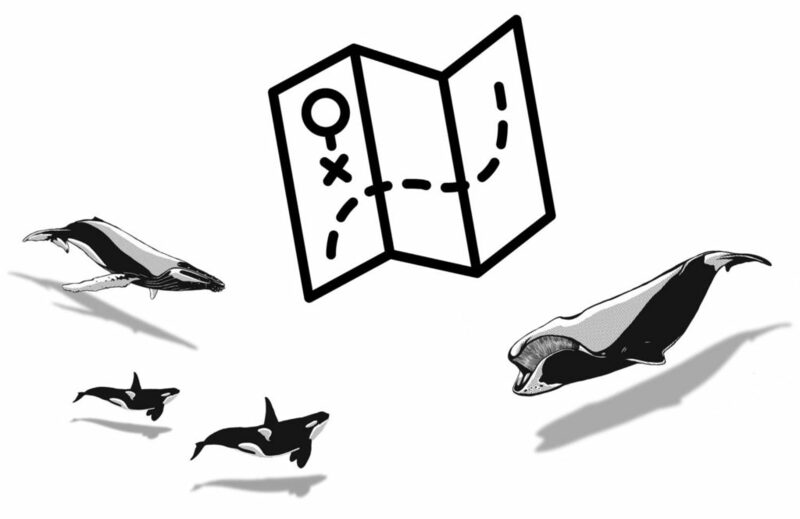 Here he studies the effects of whale watching on whales. 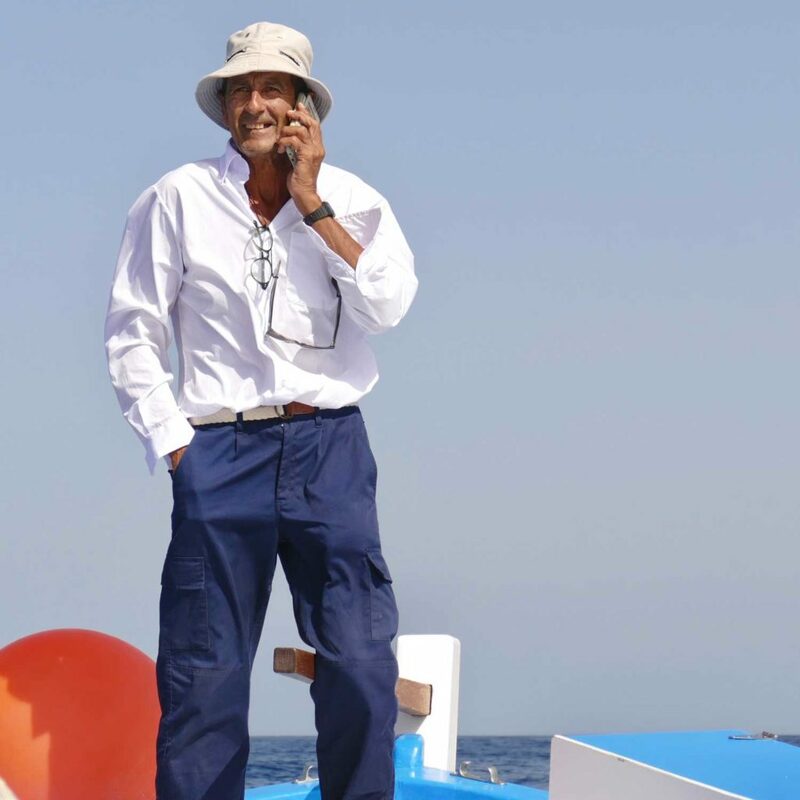 Over the last twenty years, he has built one of the most comprehensive and complete whale watching databases in the world and a vast knowledge of the whales and dolphins off La Gomera. His colleague Ulla lives here all year round. 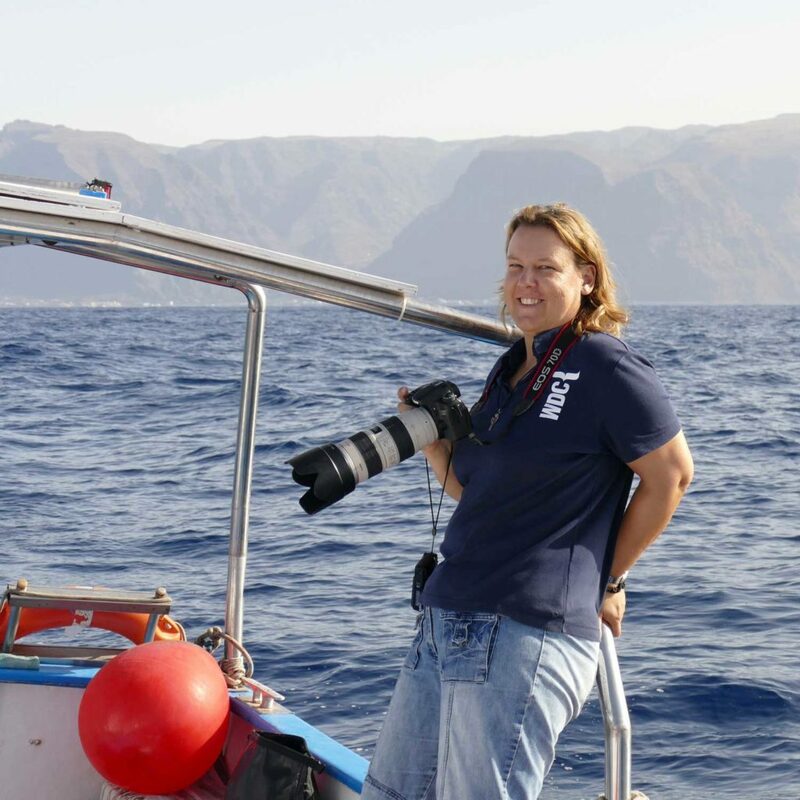 She also works for WDC – and in Valle Gran Rey also for the whale watching operator Oceano, who is dedicated to gentle whale watching. The most important rule: Humans are the guests in the habitat of the whales; so the whales alone determine the form and intensity of the contact. These are very simple, basic and yet far-reaching rules, which unfortunately are far from standard. It’s all about respect. In practice, this means, for example, that a whale that obviously feels disturbed by the boat should not be chased across half the ocean. 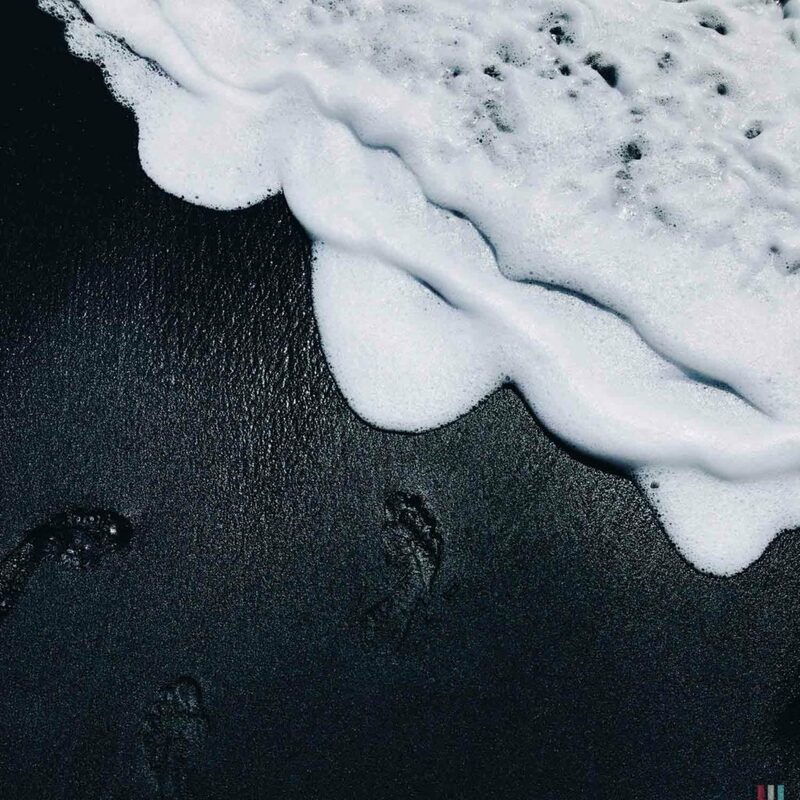 Rather, you let it go and see what other surprises the sea has in store. 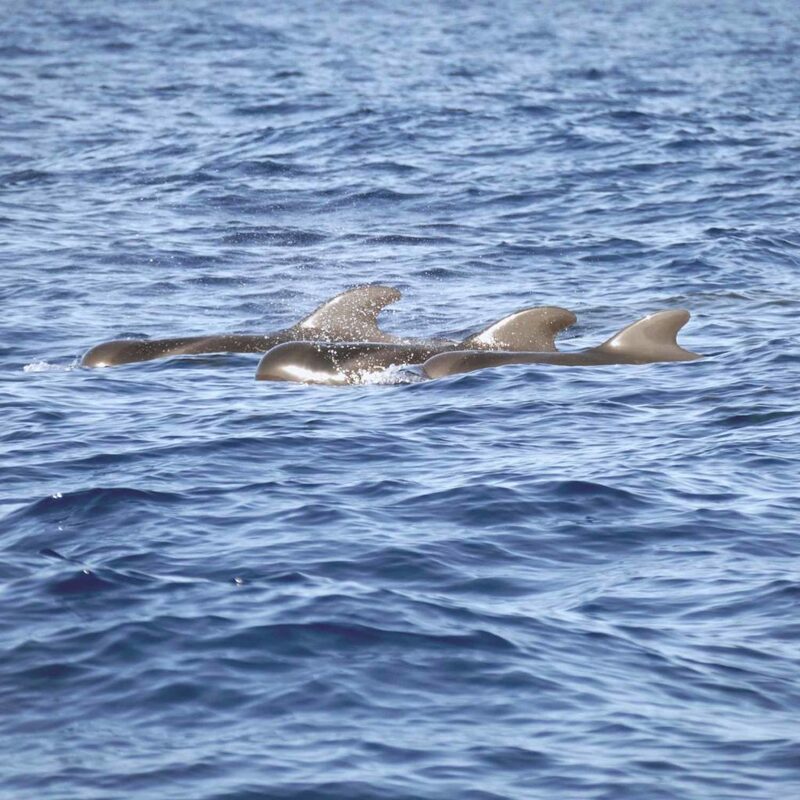 Fabian’s research has also contributed to a better understanding of the local species and their behavior: Whales and dolphins sometimes react very differently to whale watching boats. The better the captains know these behaviors, the better they can adapt to them. 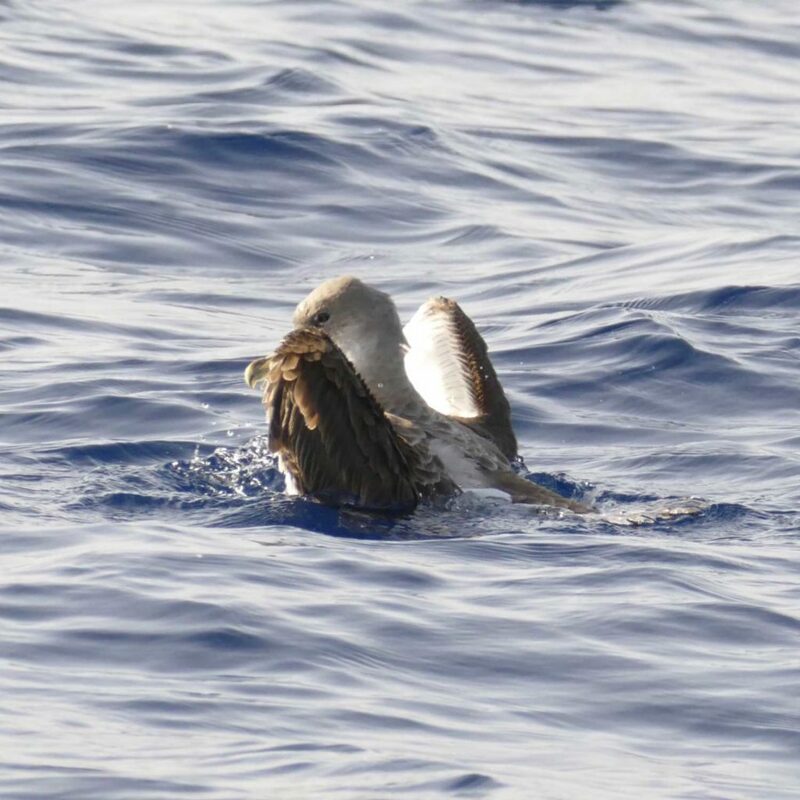 It's not just about a nice little fluke shot or a lovely day at sea. It's about respect and real interest. And also about awareness. Gentle whale watching also means that you are interested in a little more than just a nice fluke shot or a lovely day at sea. It means that you get informed about the issues of these animals, about their habitat and its conservation. In practice, for example, this could mean stopping again and again just to fish some garbage out of the sea. 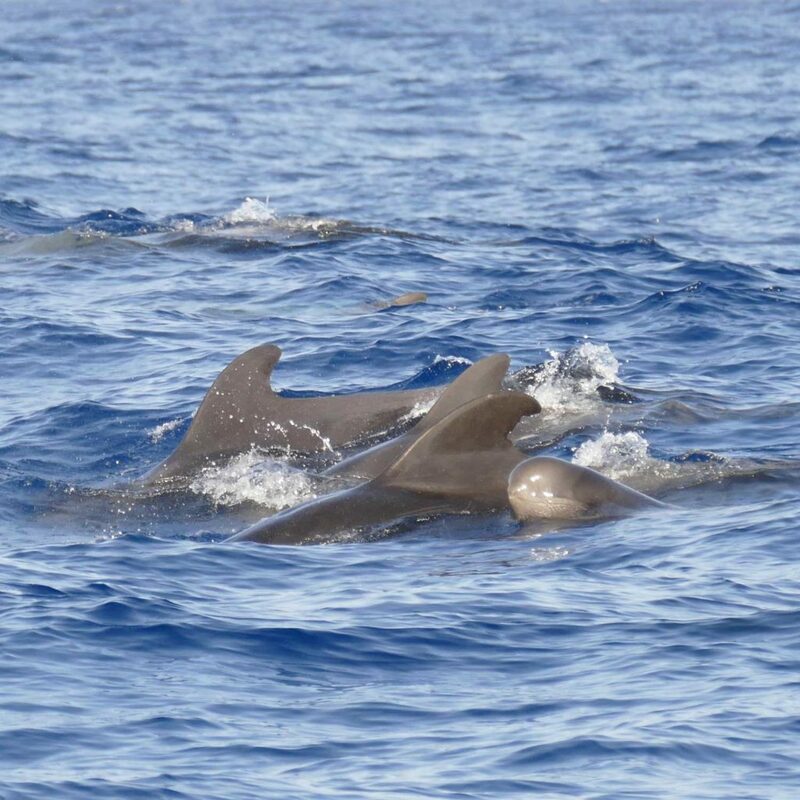 At Oceano there is a pretty good permanent multi-lingual exhibition of MEER e.V., called ‘Dolphins and Whales off La Gomera – Biodiversity in a changing World’. 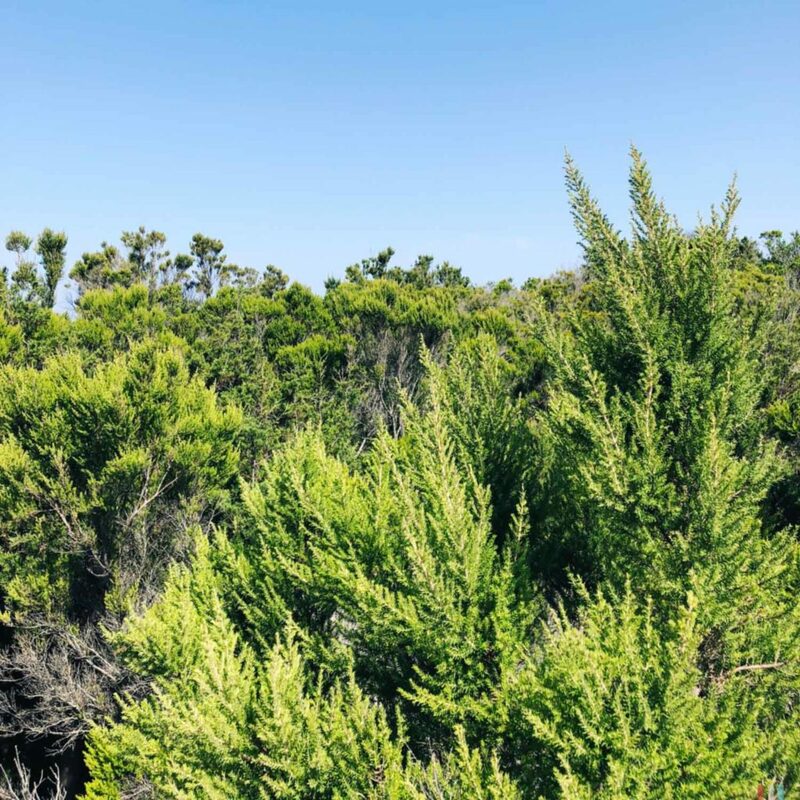 It’s about the island, the most common species and how to protect them, not only while being on the island, but also back at home. Every week, Ulla gives a very informative lecture about this.  We have never seen such a close and successful combination of research, public relations and whale watching on our tours before. Each side is committed to the other and mutually benefits from the other. And everybody wins. Maybe there should be some more projects like this one on La Gomera. 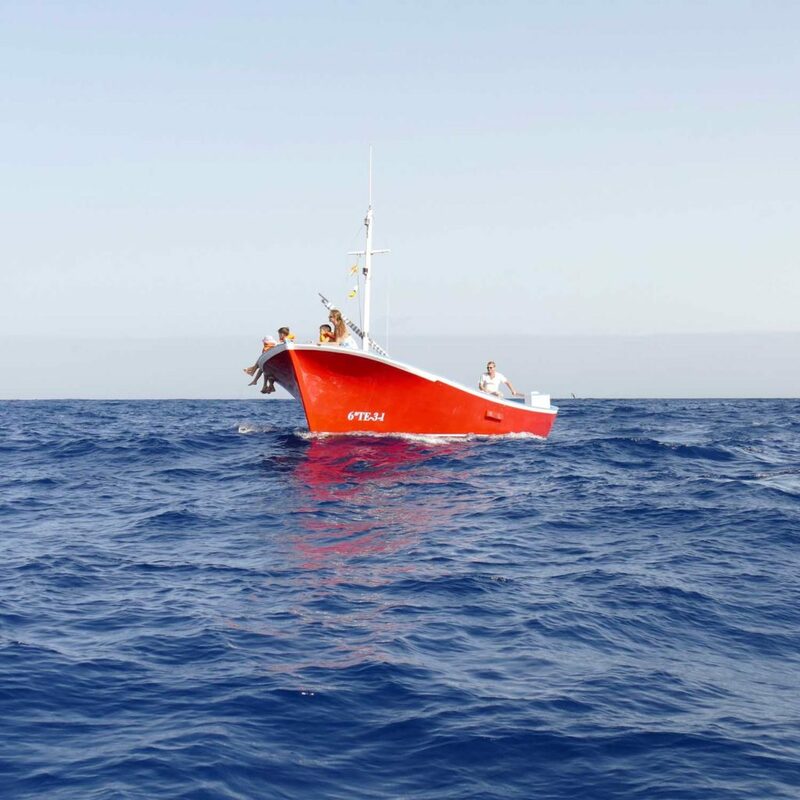 Every other day we went out to sea in a beautiful small fishing boat made of red and blue wood. No day was like the other, everyone was special. And never before we have experienced such enthusiastic guides as here. 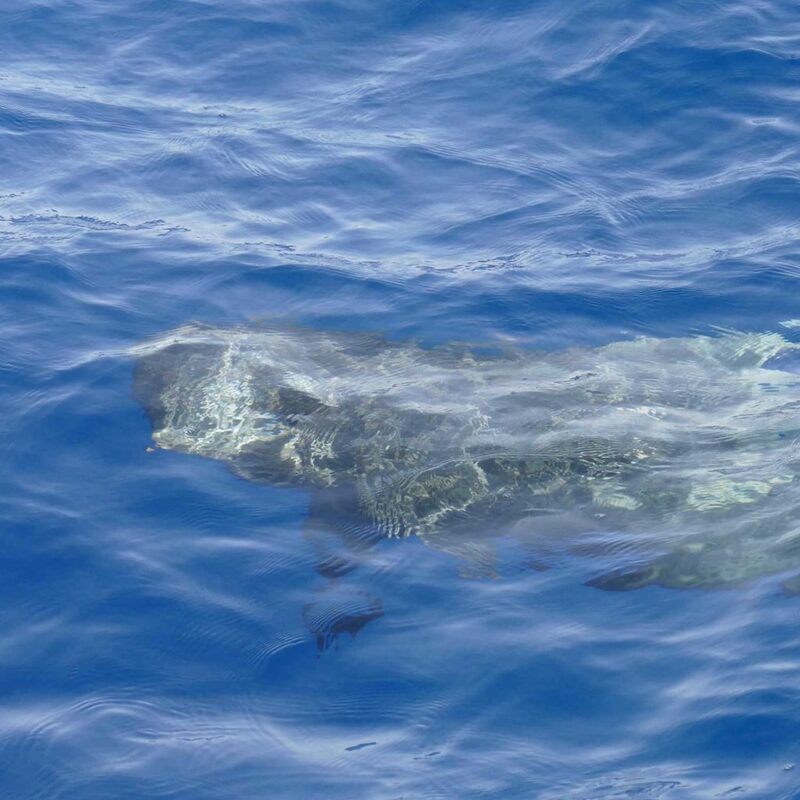 A Pilot Whale surfacing close to our boat. 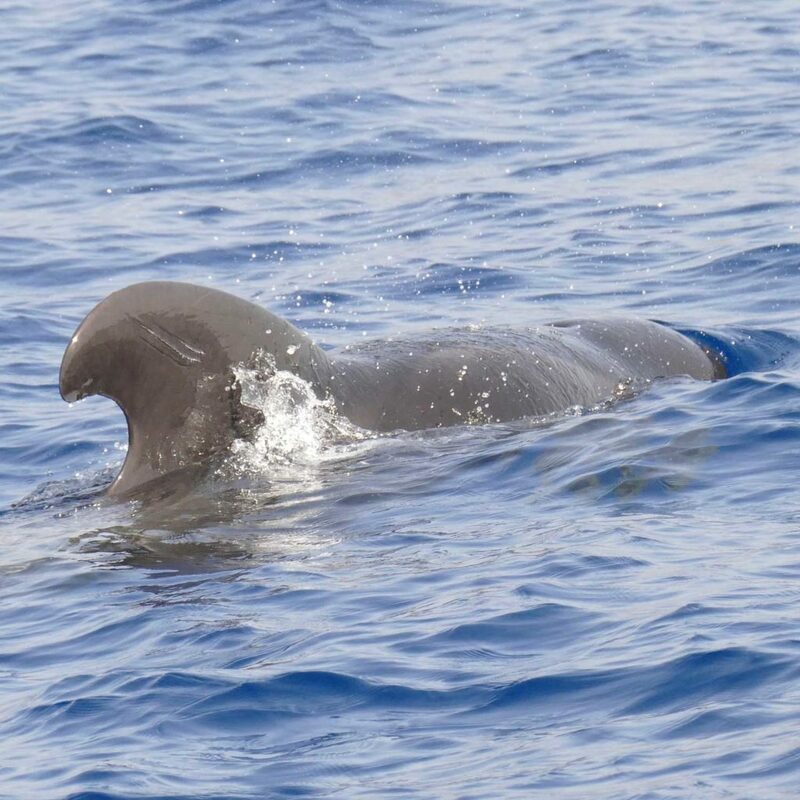 Pilot Whales actually are dolphins, not whales. 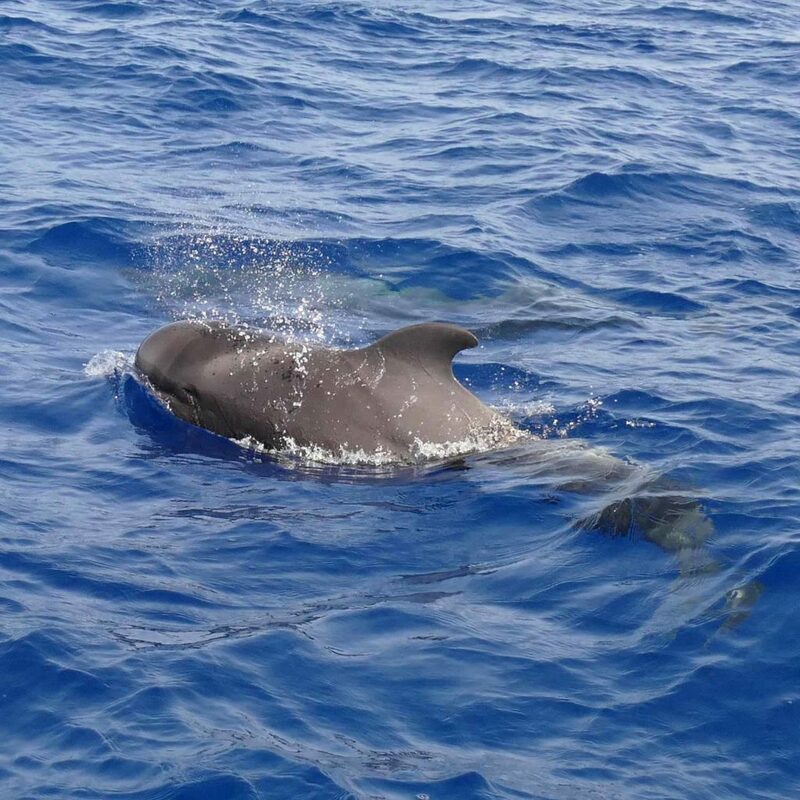 On each of our tours we meet Pilot Whales. Between La Gomera and Tenerife live hundreds of them. And as we had learned in Norway: Pilot Whales are super whales. From a scientific point of view this is of course complete nonsense, but as an amateur opinion it’s hopefully okay to say that Pilot Whales are a pretty good mixture of Sperm Whales and Orcas. 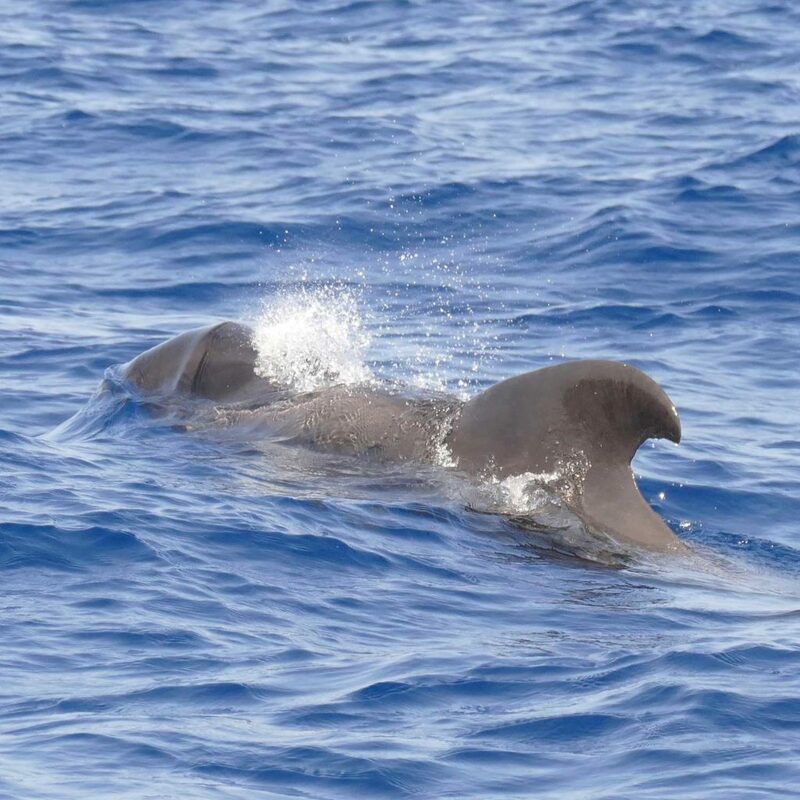 Like Sperm Whales, Pilot Whales love deep waters where they hunt for squid. They can’t dive as deep as Sperm Whales, but they can dive much, much deeper than most other whales. Like Sperm Whales, they navigate through the complete darkness of the deep with the help of their built-in echolocation. Like Orcas, Pilot Whales live in stable units led by the oldest and most experienced female. These matriarchal groups stay together for a lifetime, always under the leadership of the oldest female. And similar to Orcas, there is hardly any other animal that would be dangerous for Pilot Whales. They are even the only animals that Orcas would try to avoid. Although Pilot Whales are much smaller than Orcas (only four to six meters), they are usually outnumbering the Orcas by far. And they seem to be far too loud and active – so, if you see Orcas and Pilot Whales together, it’s most likely the Orcas who will leave the scenery. Eine Gruppe Pilotwale schwimmt nah am Boot vorbei und taucht unter uns hindurch. 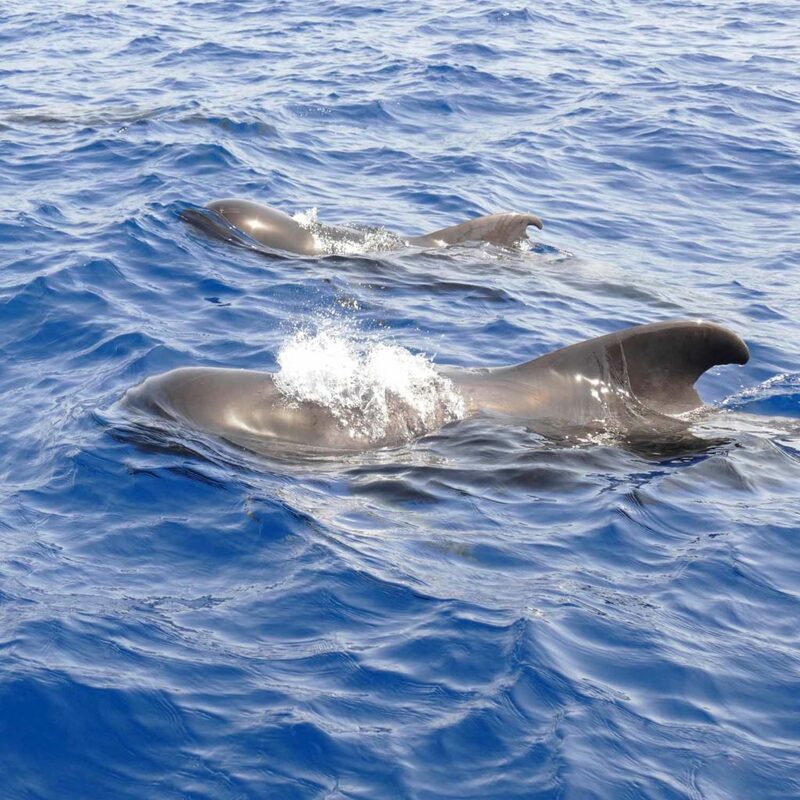 We met Pilot Whales on each of our tours. They always had young ones with them, the nutritious (cold Canary current!) and calm (slipstream of the island!) 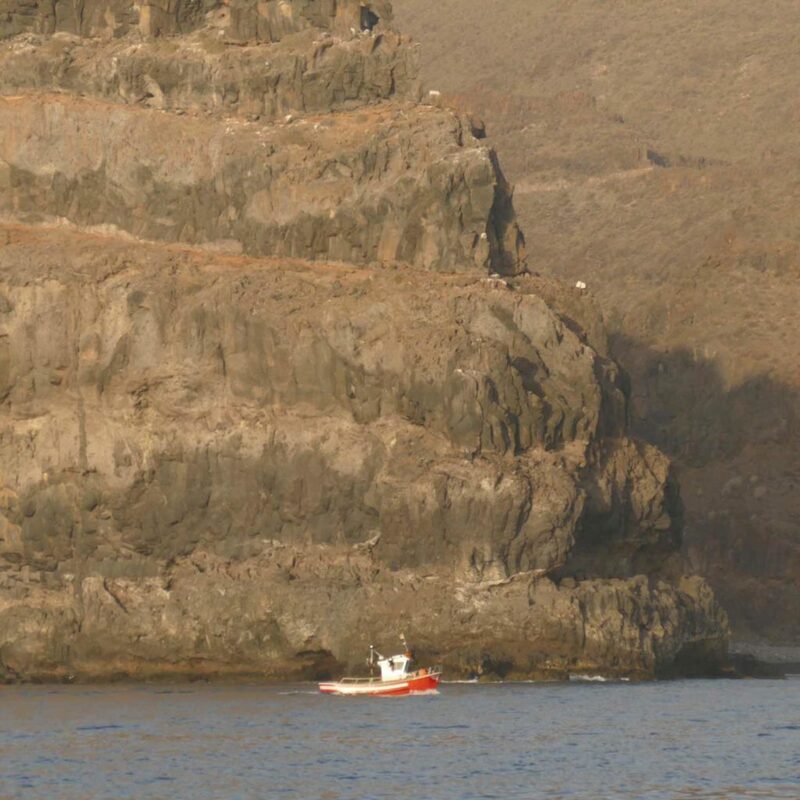 waters off La Gomera seem to be excellent nurseries. Before we have seen Pilot Whales only once: Up in the North of Norway, it was a magical night in the midnight sun, and our guide was quite thrilled and delighted. 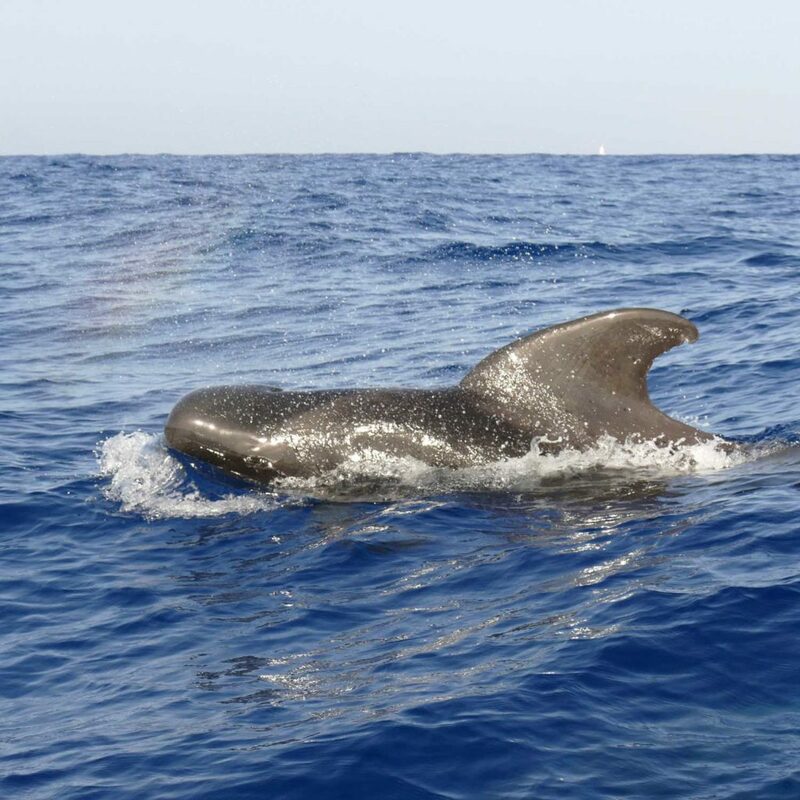 Here on La Gomera we notice that Ulla and our other guides are honestly happy every time we meet the Pilot Whales – but our feeling is that their joy about a group of wild dolphins is always a little bigger. We’ll come back to that. 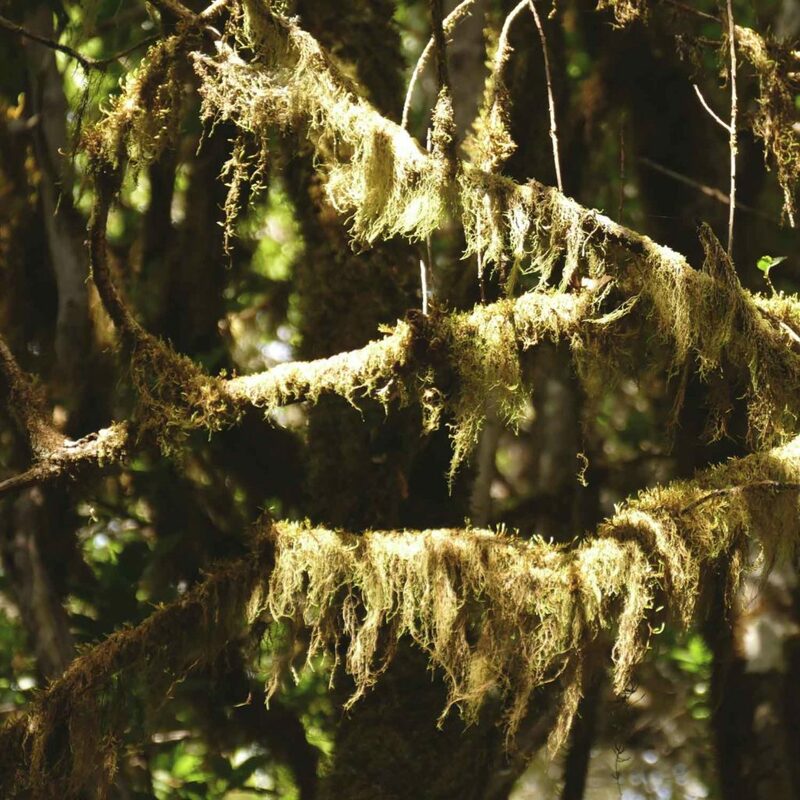 Mosses in beautiful Garajonay: the forest has learned to draw the water directly from the fog. Of course you can't just do boat trips all the time. It's possible and not forbidden, but you would really miss a lot: Garajonay for example, the second big miracle on this island. 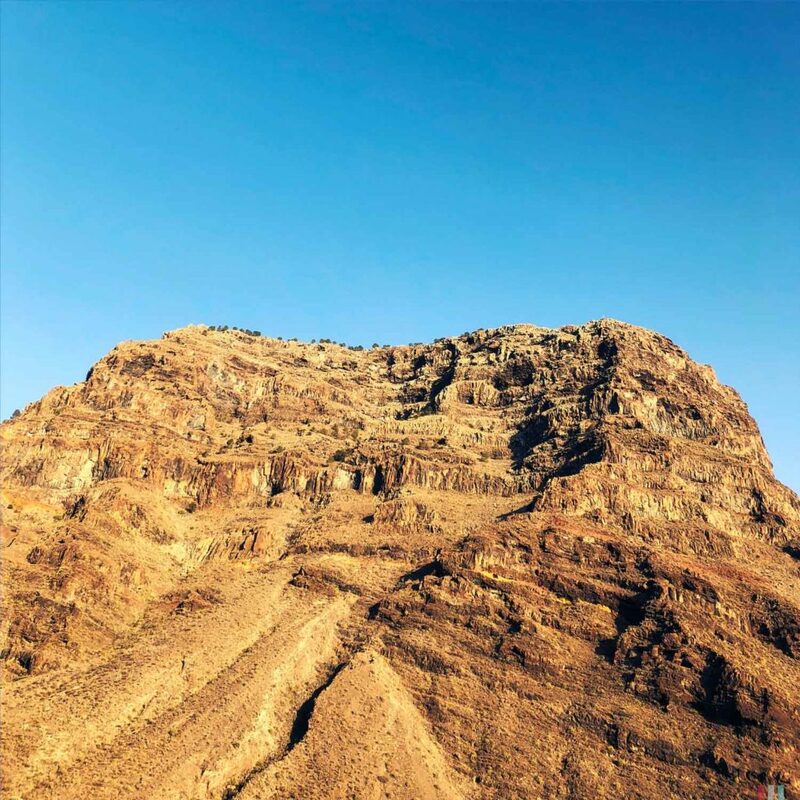 Usually in the mountains it’s like this: all green at the bottom, all sparse at the top. 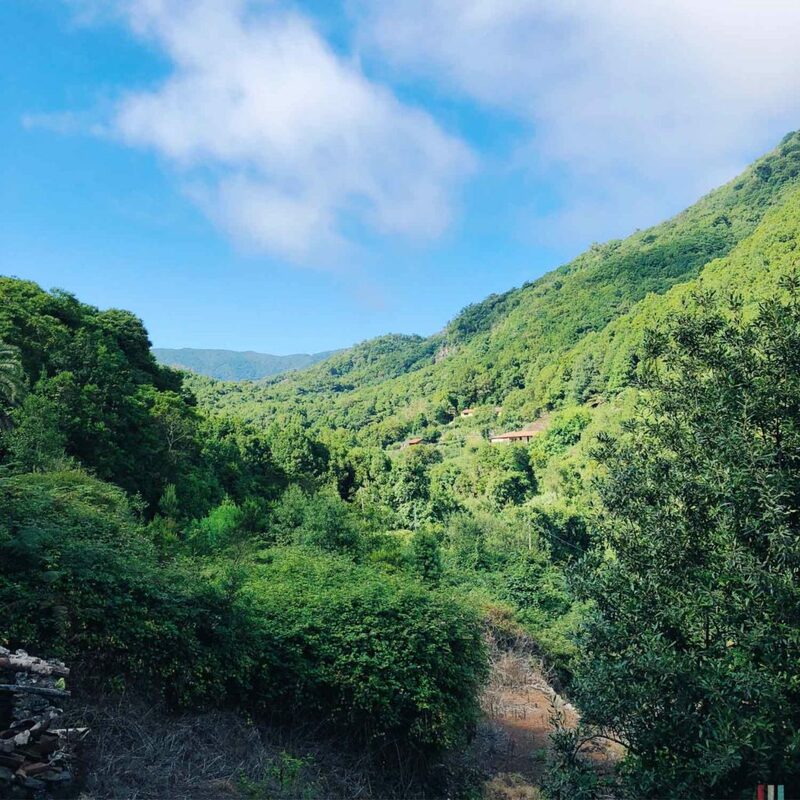 In La Gomera it’s the other way round: the higher you get, the greener it grows. Down at the coast it’s dry and hot, here you find palm trees, cacti, figs – plants that can live with little rain. 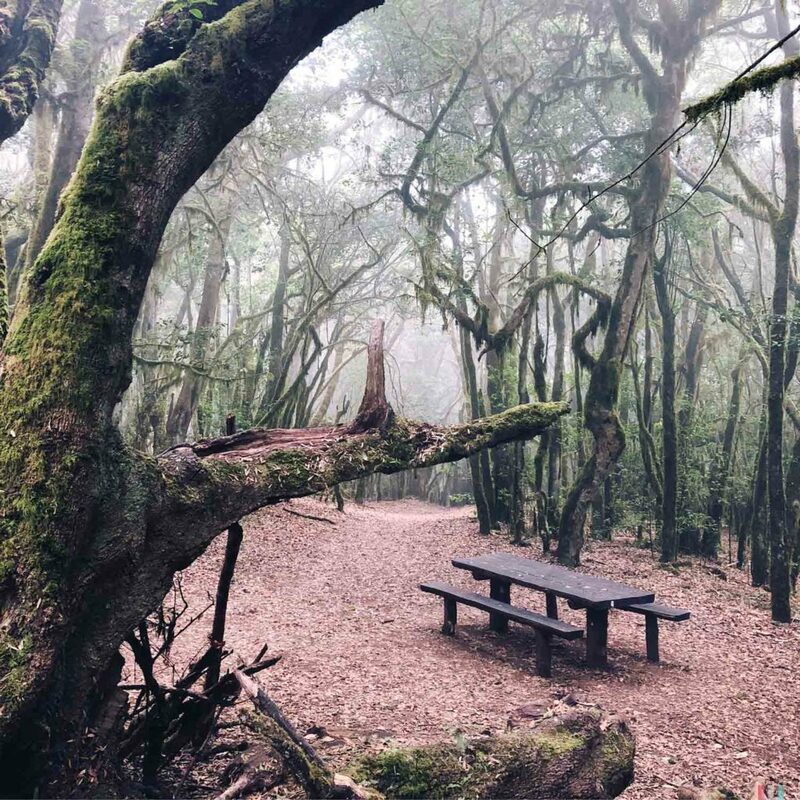 In the middle of the island, at an altitude of 1,500 meters, however, it is humid, cool and incredibly green. Right at the top of this remote little lava rock grows the largest remaining laurel forest in the world. A real fairytale forest. 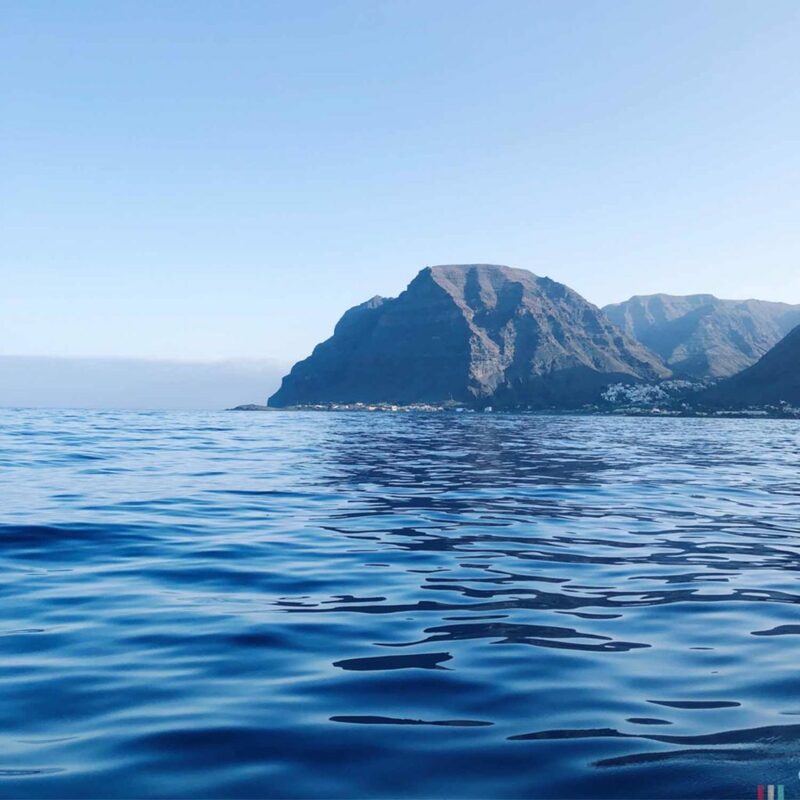 La Gomera has a mild climate all year round: the Canary Current, a branch of the Gulf Stream, permanently brings enormous quantities of cool water from the north-east. This works like a fridge: despite its proximity to the Sahara and the Equator, it’s not hot here, but mild. Also from the north-east, trade winds blow constantly – air that heats up strongly over the African mainland, rises quickly upwards, cools down there and forms thick clouds. Due to the rotation of the earth, these clouds are then pushed to the west. 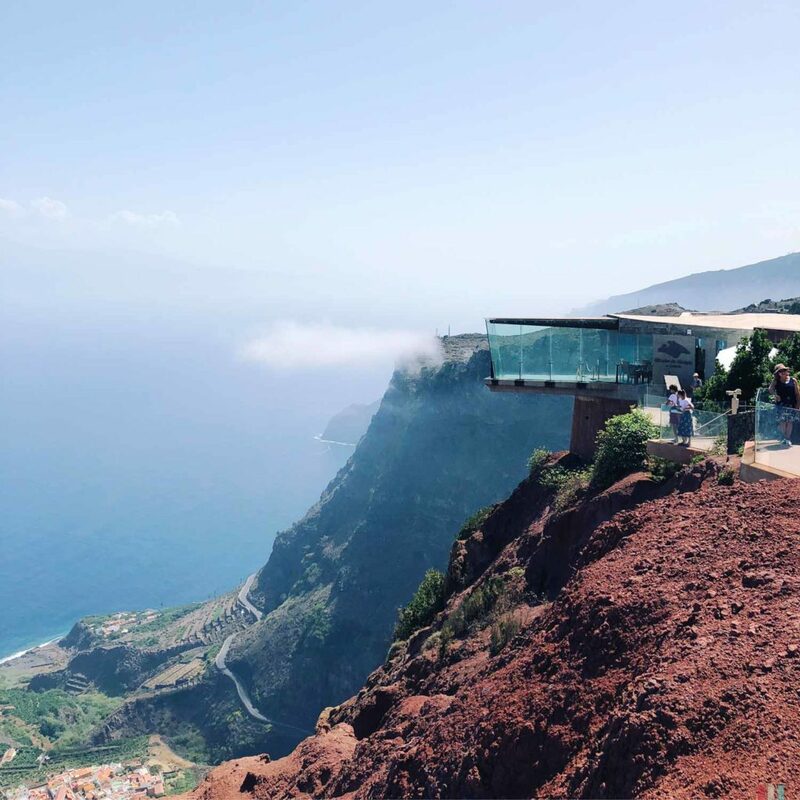 In the middle of La Gomera, they meet on land at an altitude of 1,500 meters. And that pleases the local vegetation – very much! 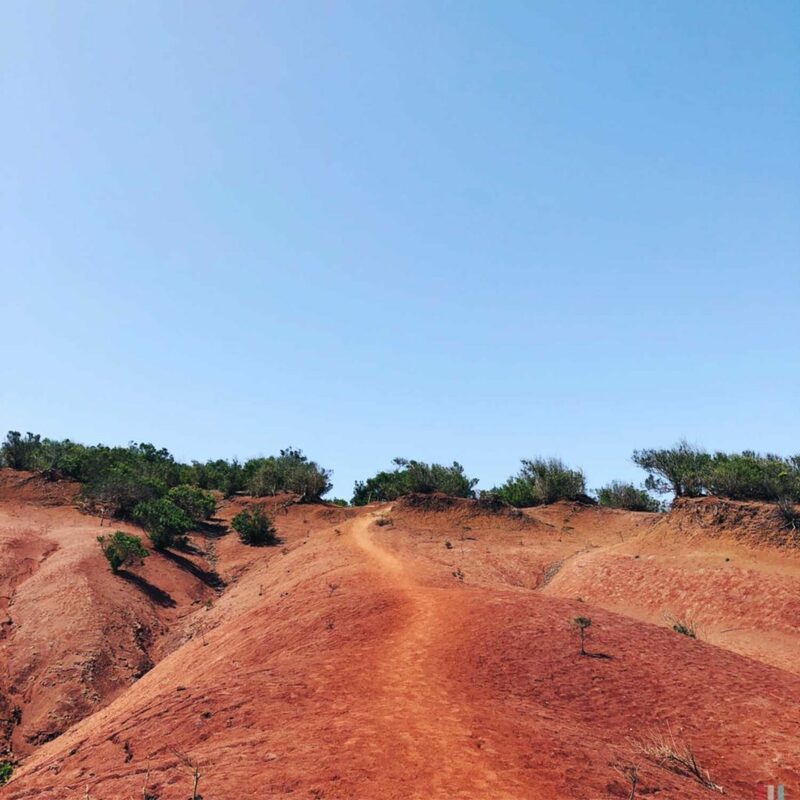 Those who hike in the Garajonay can take a good look about 20,000 years into the past. Before the ice age, half the continent consisted of primeval forest. 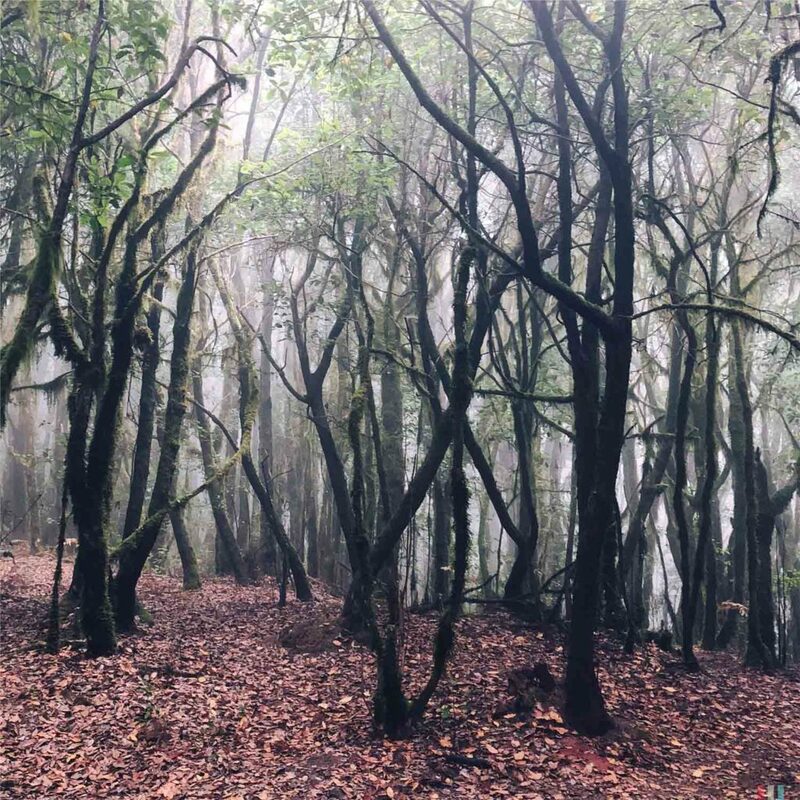 The dense jungle on La Gomera is not a tropical or temperate rainforest – too cool, too little rain – but a humid subtropical forest. Sometimes the forest is so foggy that you can’t see the next twenty meters. It doesn’t rain often here. 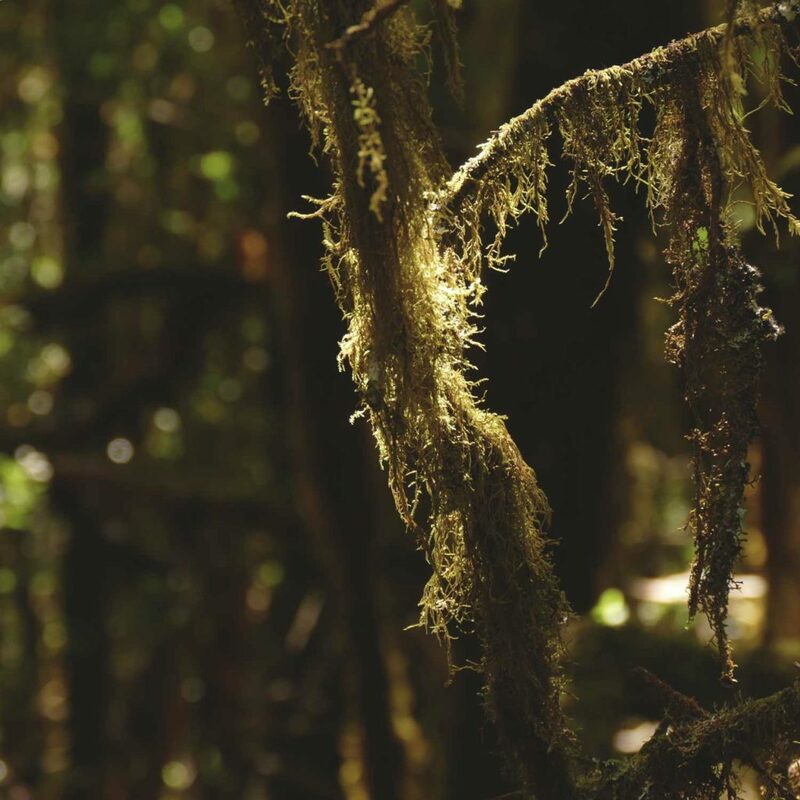 Instead, the forests have learned to draw their water directly from the fog – with the help of huge mosses and lichens that give the forest its mystical face. They work together and appear to be a huge sponge. 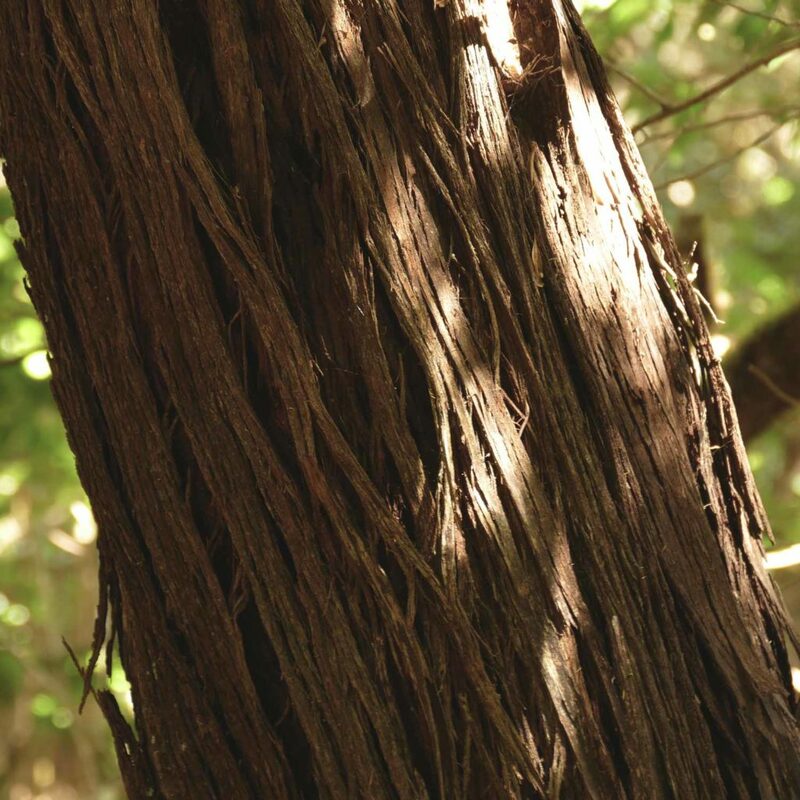 In spring and summer the forest draws more water from the air than it rains in autumn or winter. It’s even enough for the people, the groundwater is mostly stable all year round. 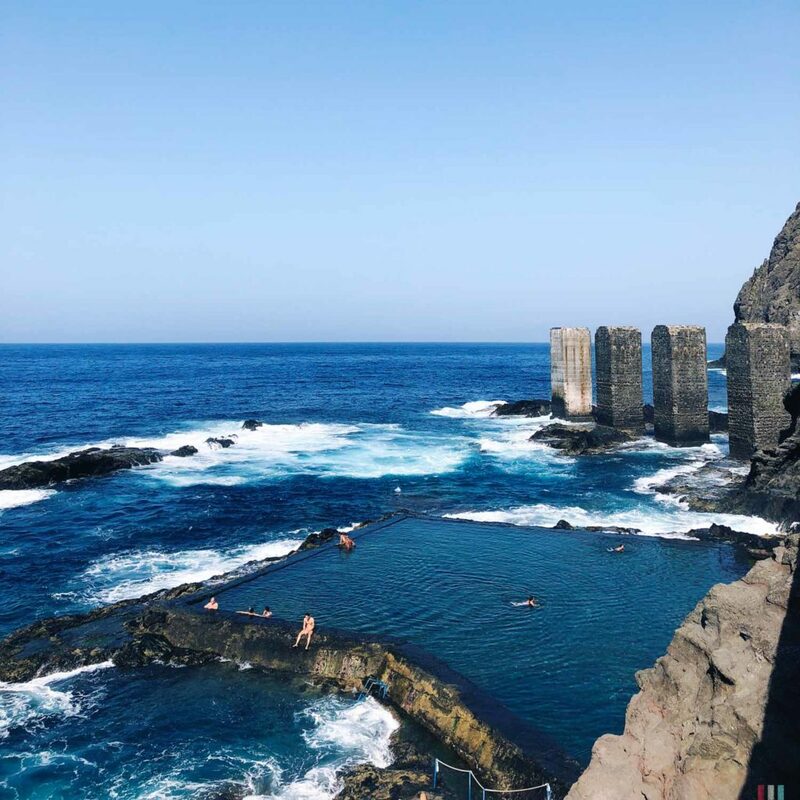 On other islands of the Canaries, however, drinking water often has to be extracted from the sea through desalination plants. 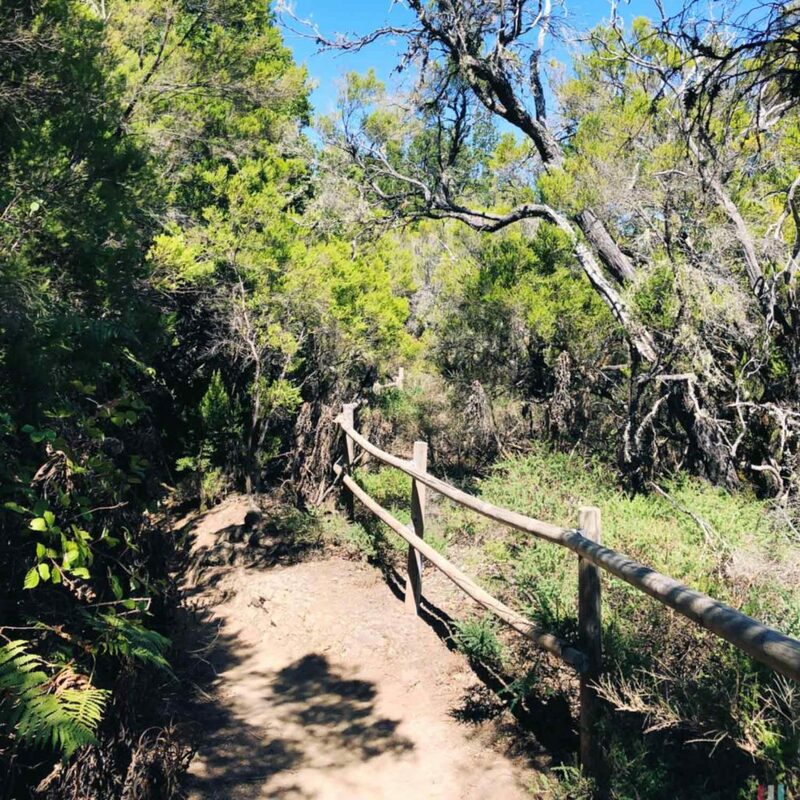 If you want to know how things looked like in Europe a long, long time ago, you have to visit the messy, fairytale-like forests of the Garajonay. Half the continent consisted of primeval forest. 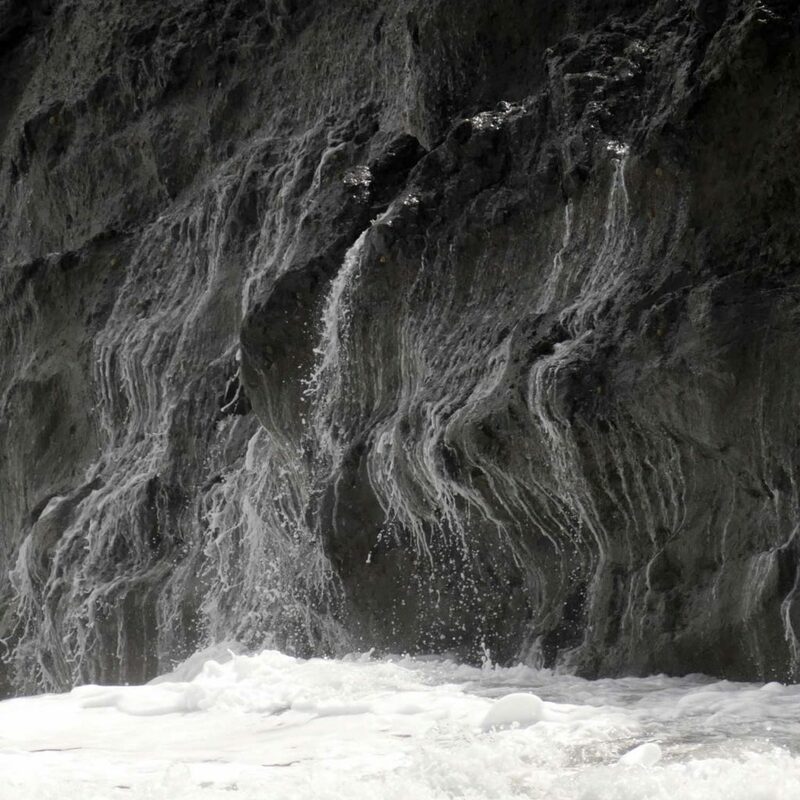 Then came the ice age, La Gomera was spared. If you hike here, you will look a good 20,000 years into the past. A La Gomera Lizard. There’s also an ancient giant version of them on the island – but those are super rare. 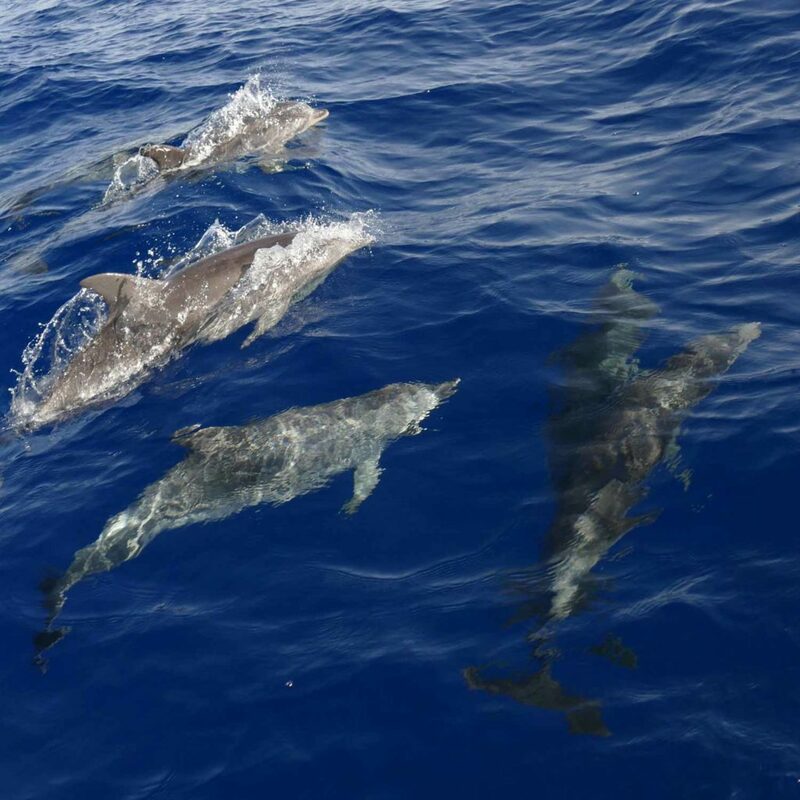 Back to the dolphins: Off La Gomera we met Spotted Dolphins, Striped Dolphins, Common Dolphins and Bottlenose Dolphins. And we have learned a little! 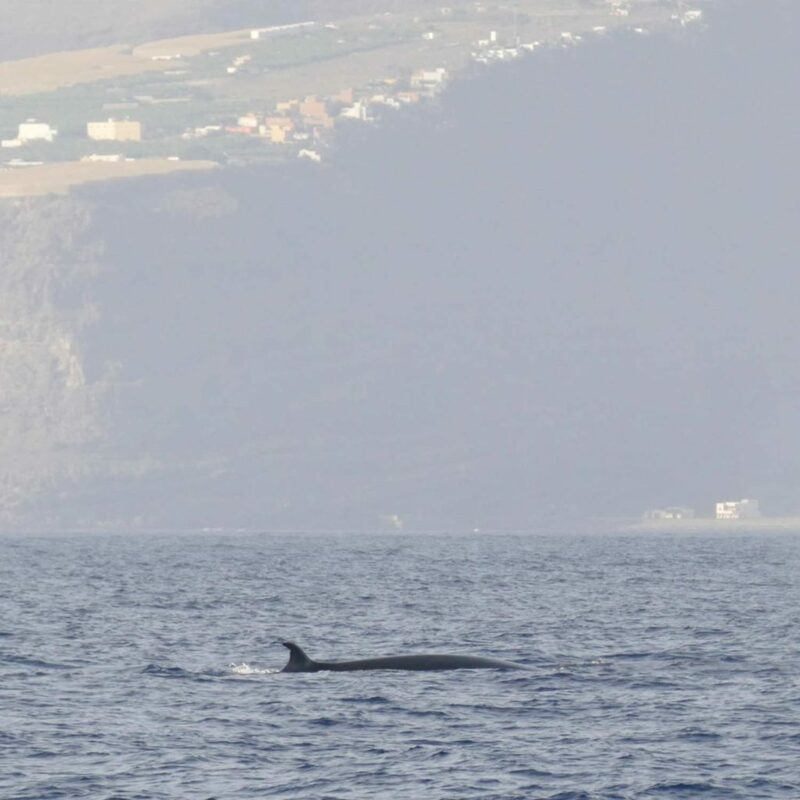 Besides the different dolphin species we also encountered a few Bryde’s Whales, but they weren’t that exciting in comparison. And yes, before this trip I would never have thought I would say something like this. The most famous dolphins, thanks to Flipper. But as I never watched Flipper, I am totally unbiased. Quite a big and powerful dolphin, almost twice as big as the other species. Can jump extremely high, at least in theory. 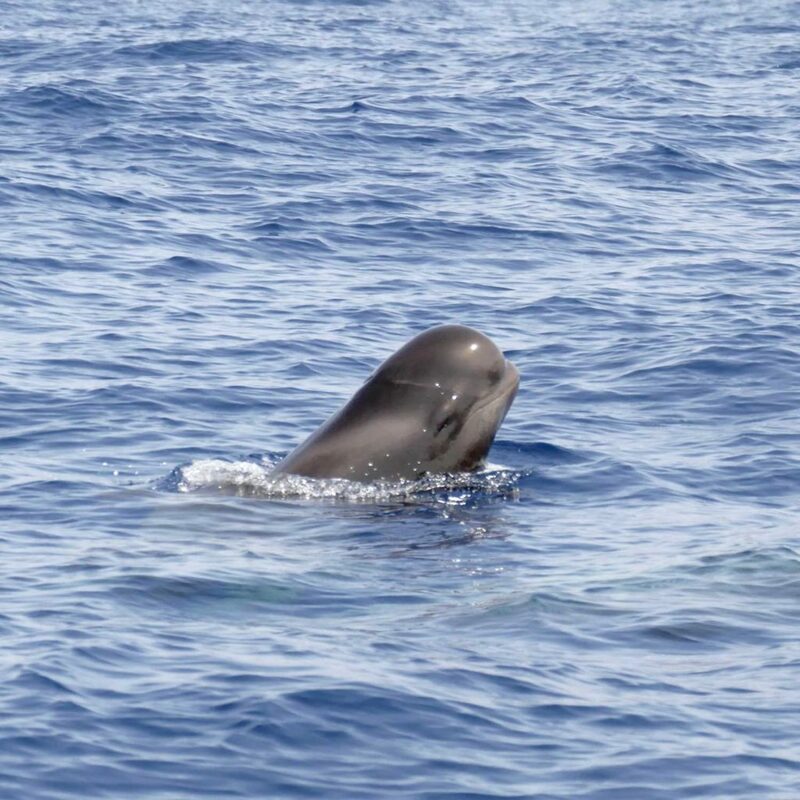 In practice, however, more interested in Pilot Whales than in us. All in all a bit too bulky, somewhat boring (sorry!! ), also not very spectacular in color. Rating: two out of five stars. 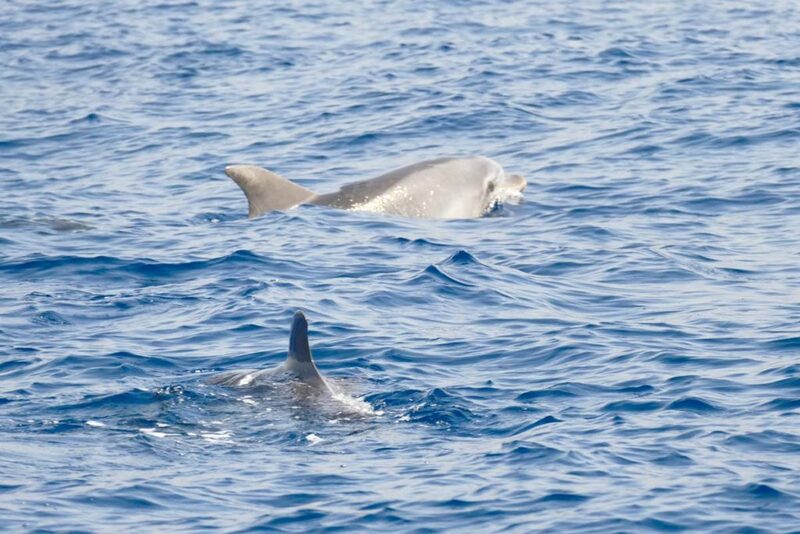 They are also called blue-white-dolphins, which doesn’t really help, because many dolphins are somehow blue and white. 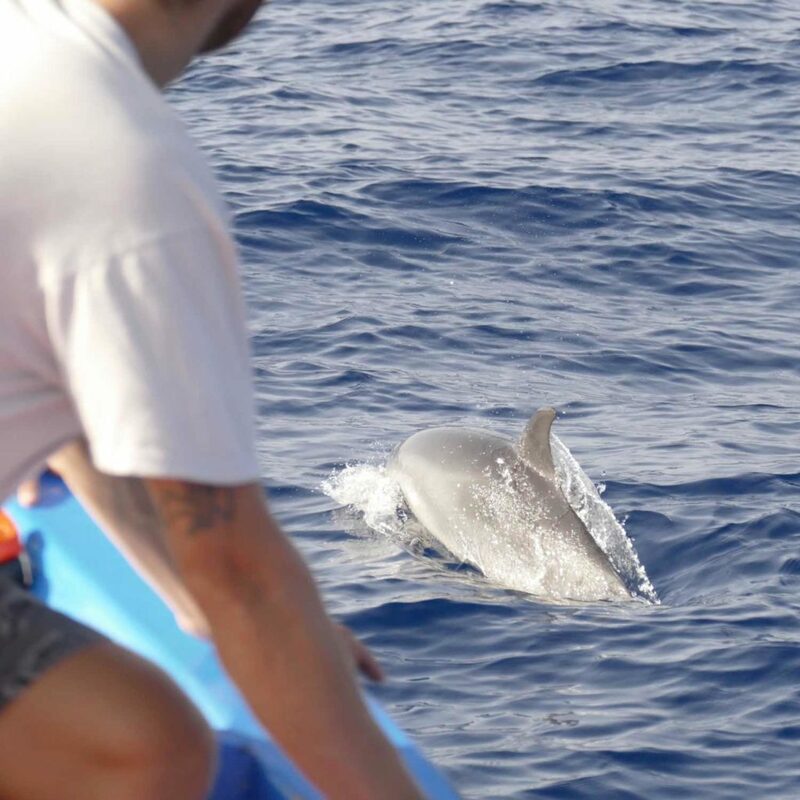 With their curved stripes, which look like a white-blue fire, they are probably the most beautiful dolphins so far. 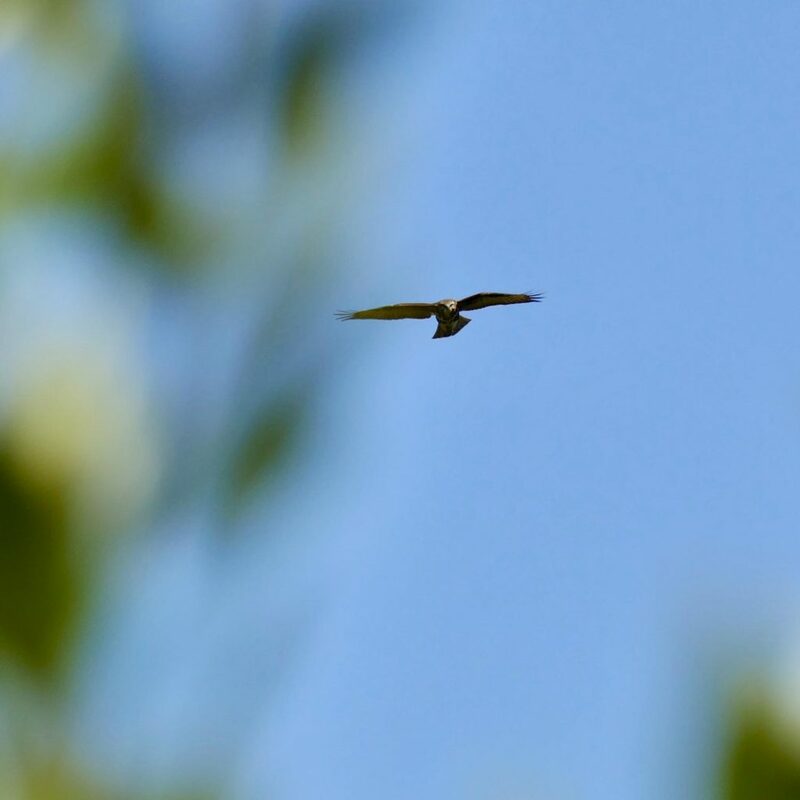 Problem however: Observation only possible for a short time and from far away – very shy, very fast. Rating: three out of five stars – plus bonus star for their really beautiful colors! Colored with beautiful basic patterns, the countless stains help enormously with the distinction. 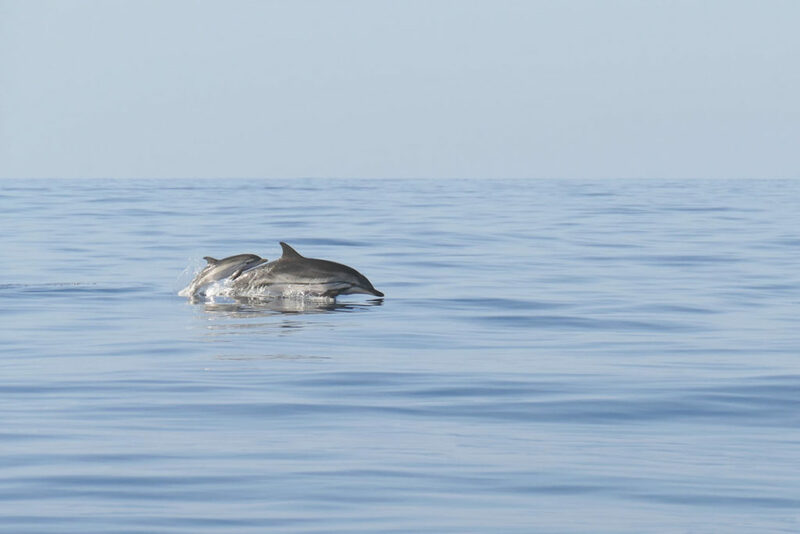 Like the common dolphins, very small and agile, but enormously active and curious: Always rushing euphorically towards the boat from a great distance to surf in the bow wave. Immediately bored away at reduced speed. As a group extremely energetic. Rating: five out of five stars. Clear winners! Theresa on board of the beautiful fishing boat made of red and blue wood. I have to admit, the other dolphins hardly had a chance. At least not after this performance of the Spotted Dolphins. 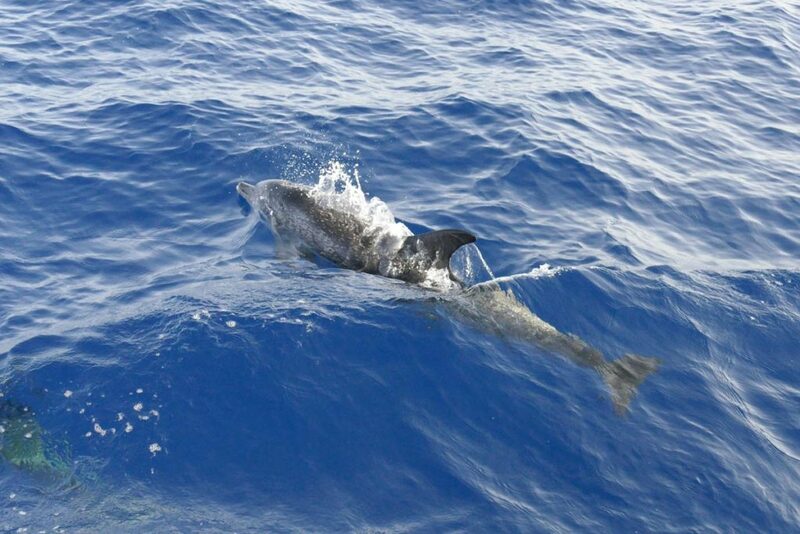 We met the Spotted Dolphins on almost each of our tours. This video is directly from the first one, it went on for another half an hour. Ulla pointed out that this isn’t the case on every tour, and that we please don’t compare all future dolphin encounters with this one. Fair enough! 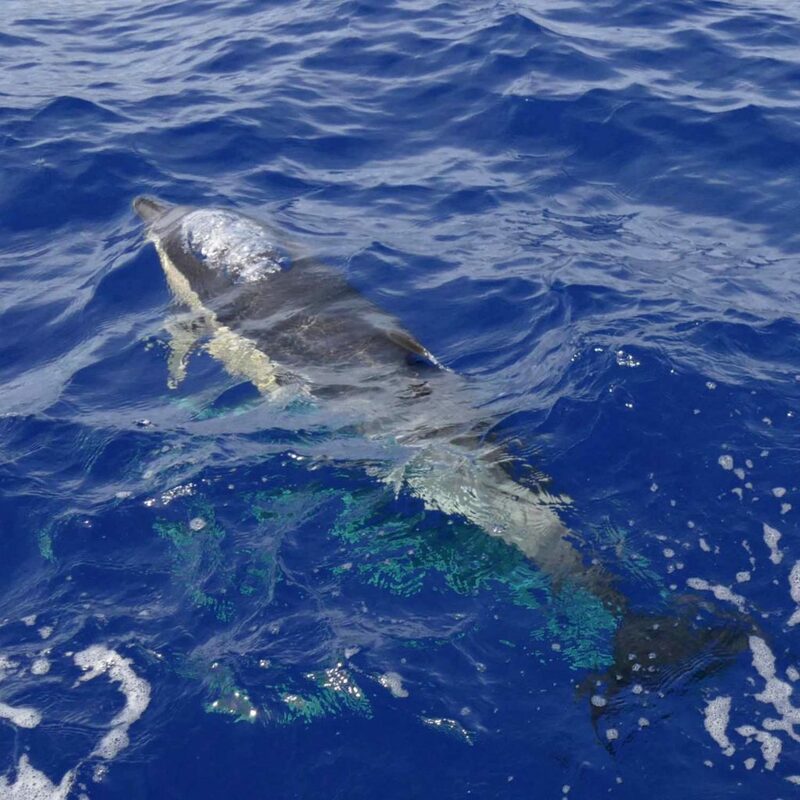 While the Spotted Dolphins always swam joyfully towards the boat on all our tours to ride the bow wave, the also very beautiful Striped Dolphins were quite shy: We could only see them from far away, as they were always gone immediately. 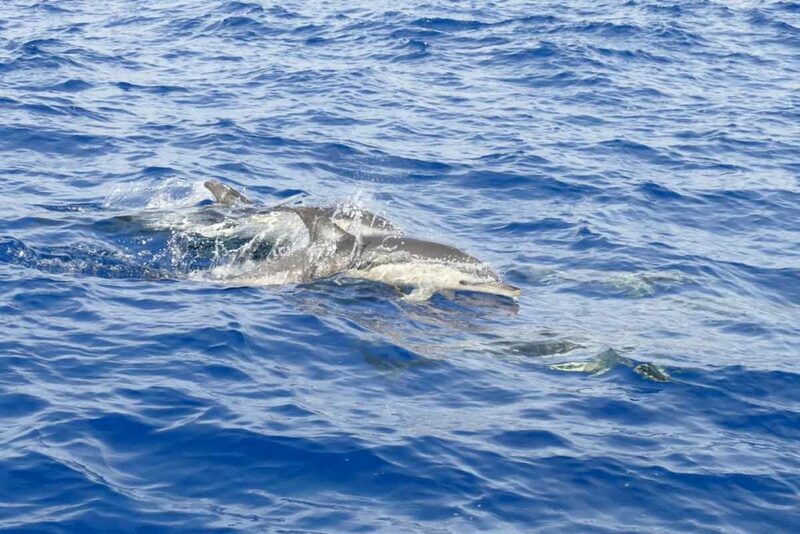 During spring on the Azores it was actually the other way round: There it was more the Striped Dolphins who were interested in us and came close to the boat. But of course it would be way too easy if the different dolphin species behaved the same all over the world.